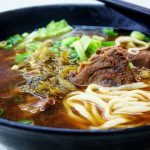 Kaohsiung blog — The fullest Kaohsiung travel guide blog for a budget trip to Kaohsiung, Taiwan - Living + Nomads – Travel tips, Guides, News & Information! 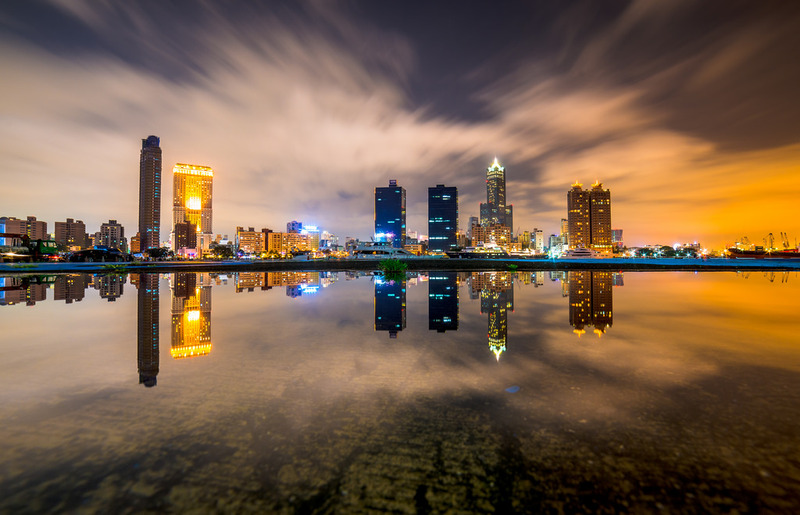 Kaohsiung is Taiwan’s second largest city (after Taipei), but Kaohsiung seems to be the most famous tourist city in the world of Taiwan. 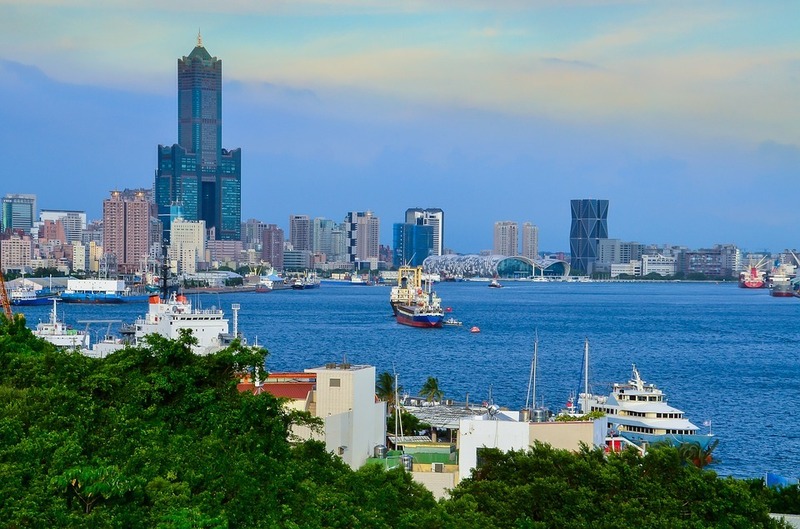 Kaohsiung is Taiwan’s largest port city, and also one of the largest ports in the world. 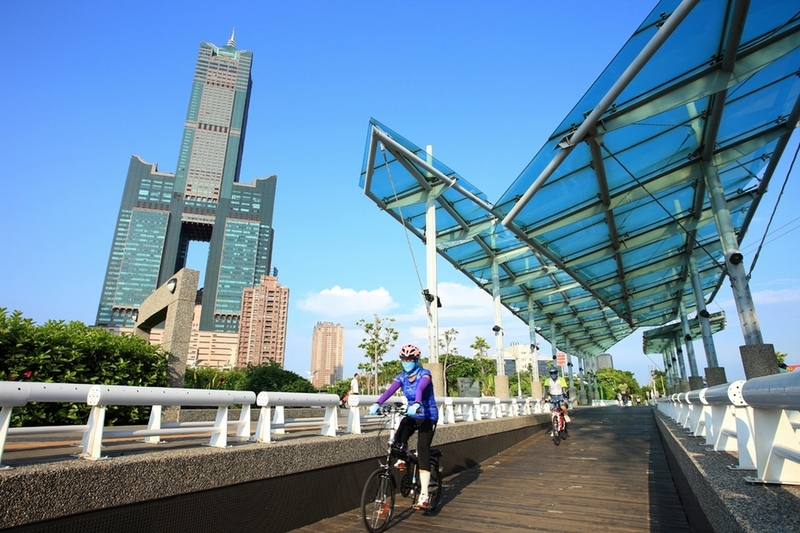 Compared to Taipei, the weather in Kaohsiung is more pleasant, milder and less rainy. 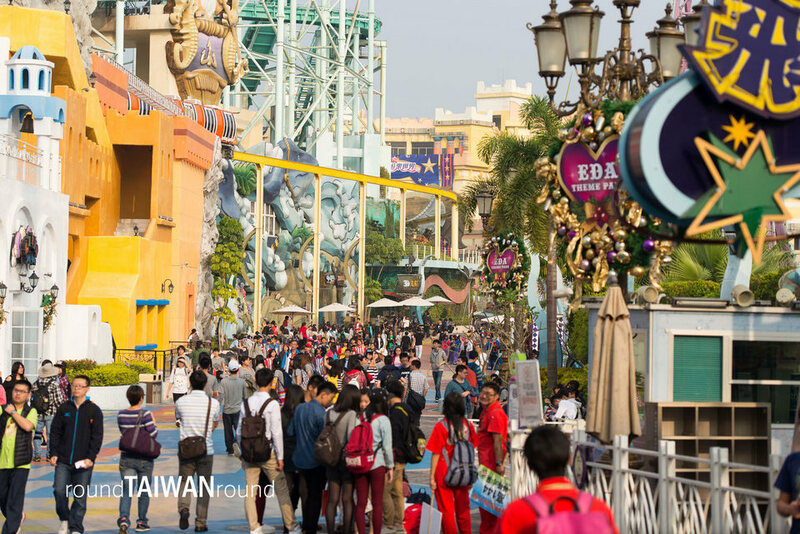 Also compared to Taipei, the streets of Kaohsiung are more modern, more spacious and less crowded. 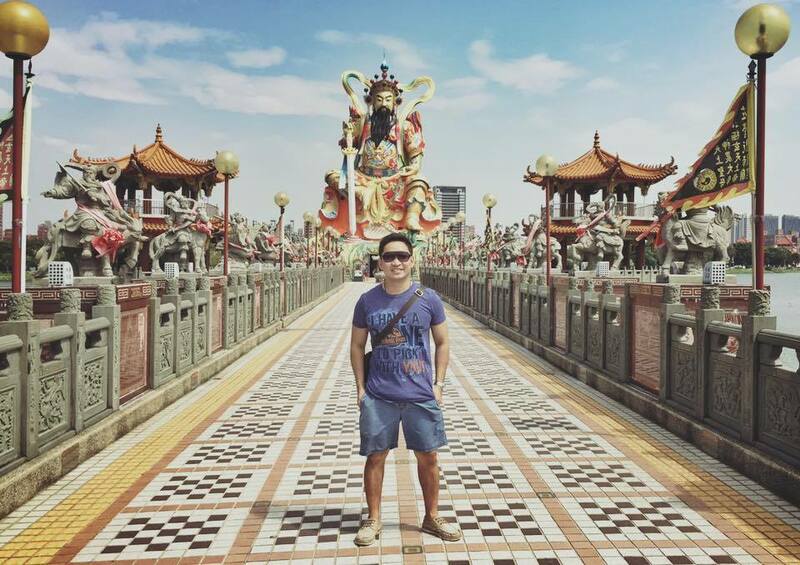 Life in Kaohsiung is quite peaceful, people are happy, friendly, pleasant. 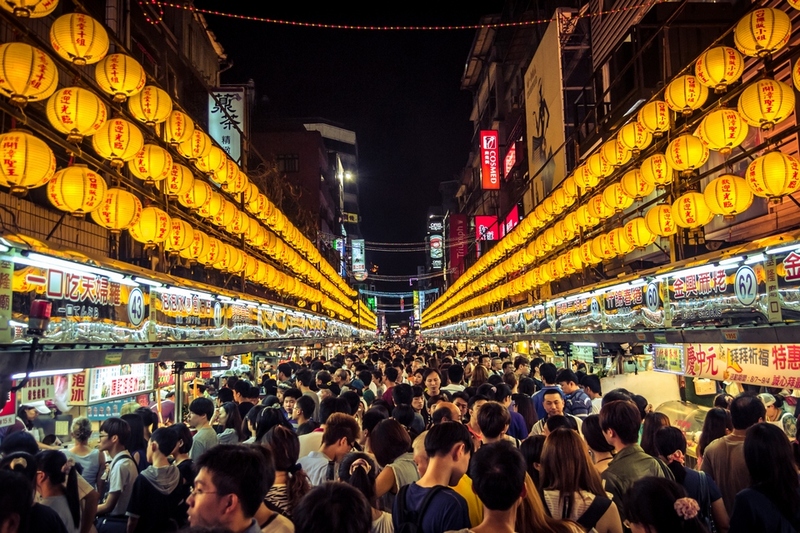 However, the people here are not so active and internationalized, which means that English is rarely used when coming to Kaohsiung. 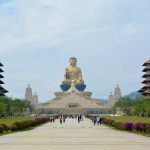 What to do in Kaohsiung? 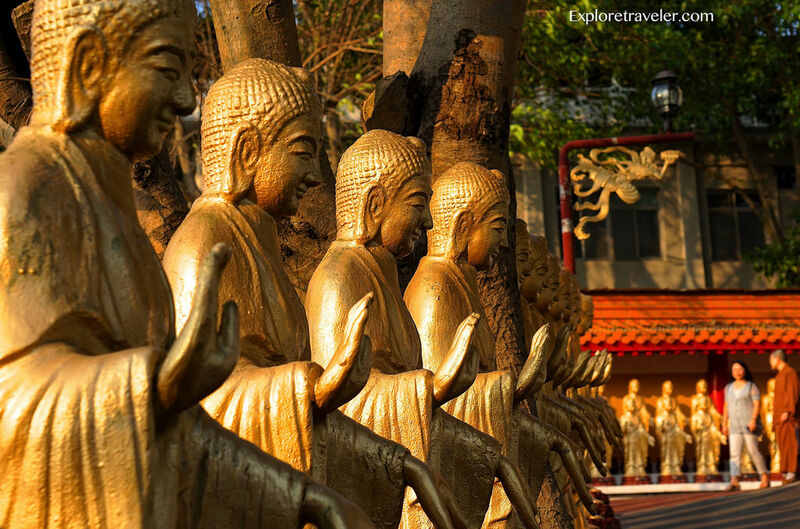 Let’s check it out our Kaohsiung blog (Kaohsiung travel blog) — The fullest Kaohsiung travel guide for a budget trip to Kaohsiung city from how to get to Kaohsiung to explore best places to visit, top and best things to do, what and where to eat, best places for shopping in Kaohsiung with Living Nomads below. 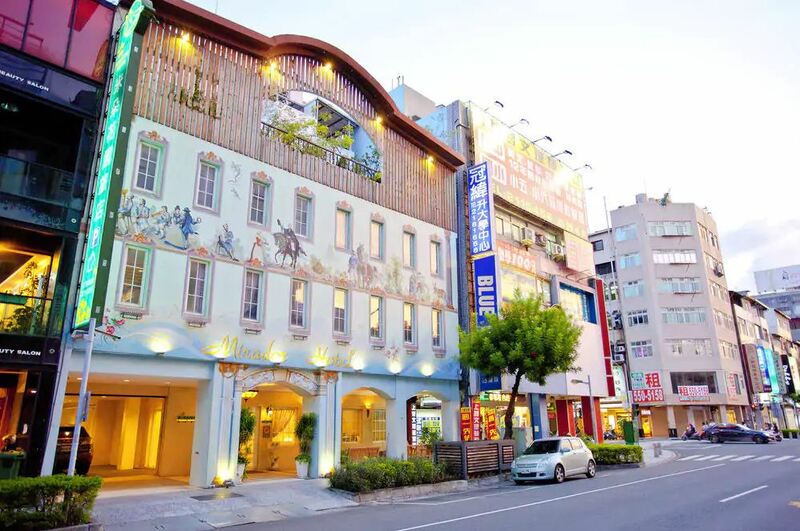 Once a small fishing village, Kaohsiung today offers plenty of activities with its beaches, cafes, and wide streets. 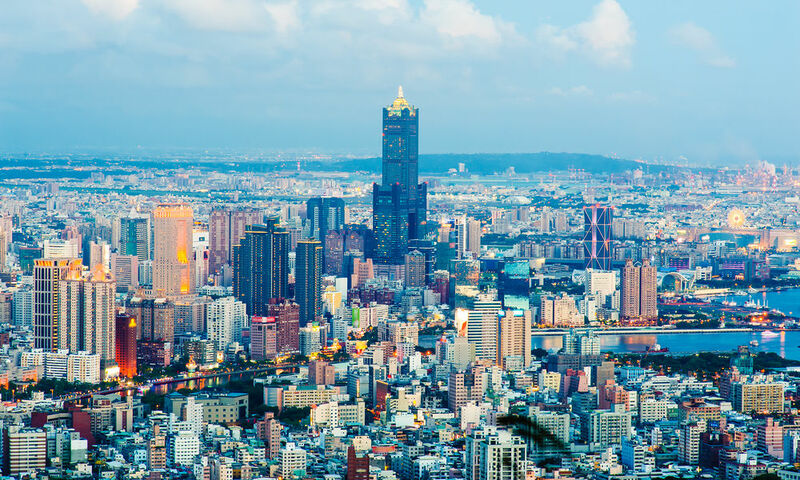 Credit image: kaohsiung blog. 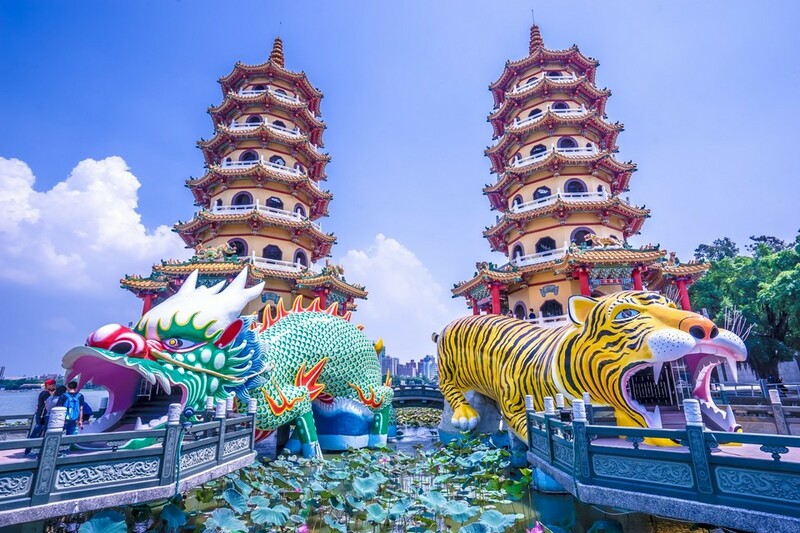 When is the best time to visit Kaohsiung, Taiwan? 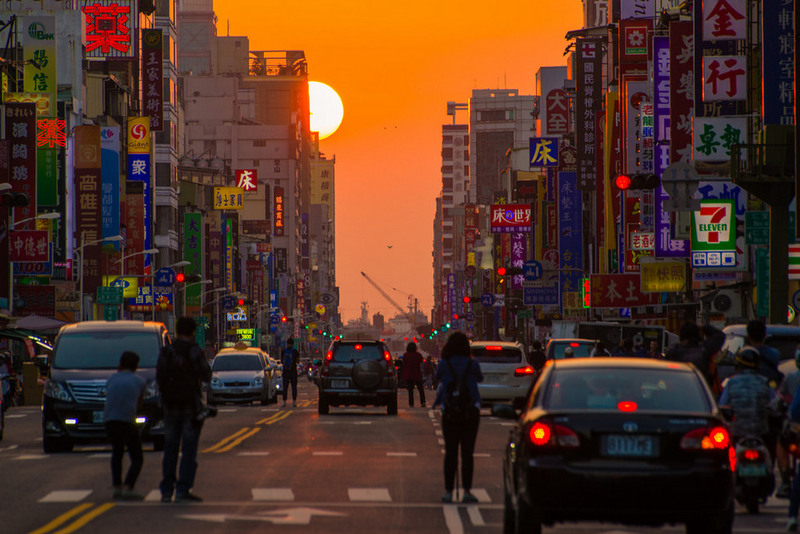 Sunset over Kaohsiung city. 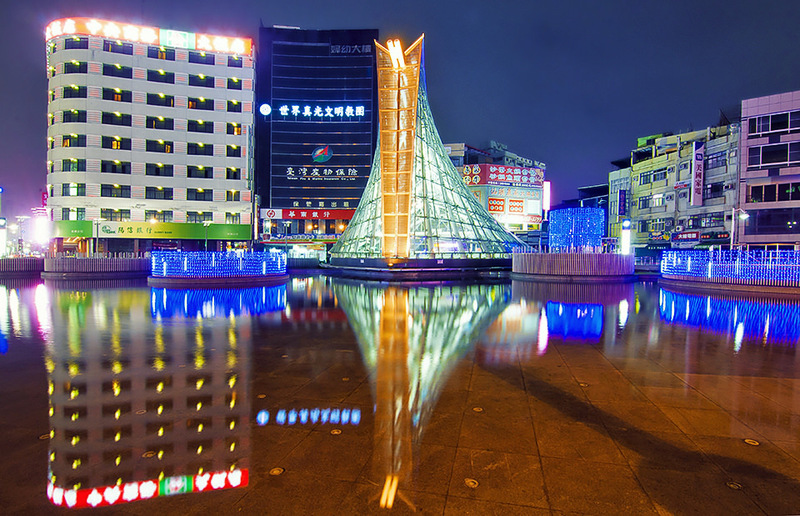 Credit image: kaohsiung blog. 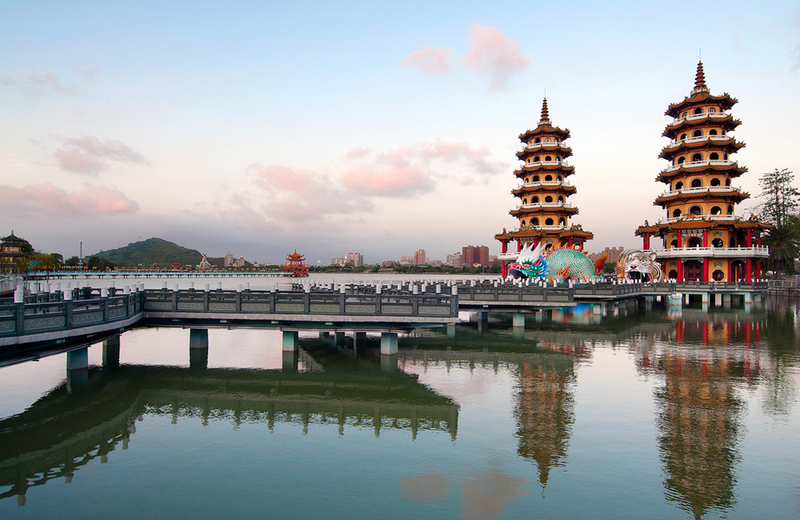 You can travel to Kaohsiung, Taiwan at any time of the year depending on free your time. 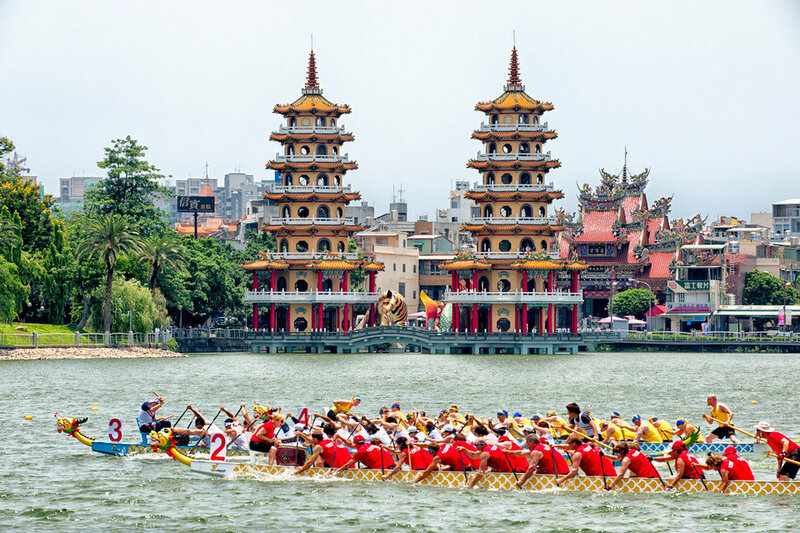 Every season in Taiwan has its own charms. 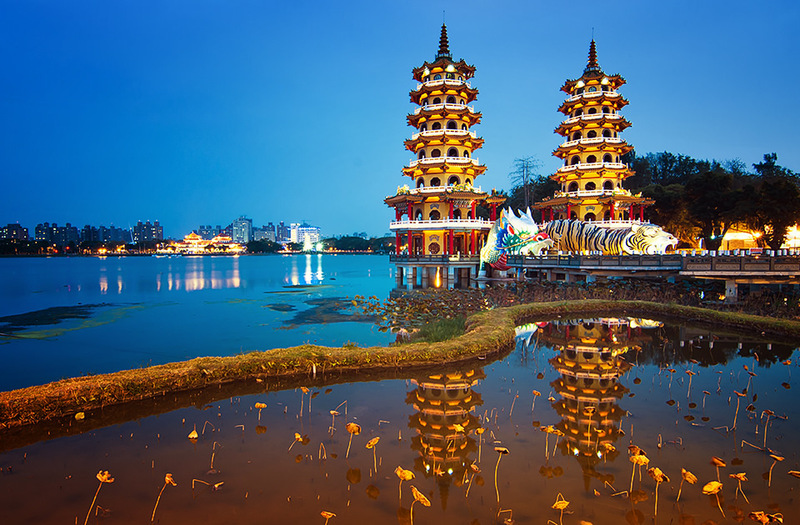 However, the period from September to January of the following year is the best time to visit to Kaohsiung, Taiwan. 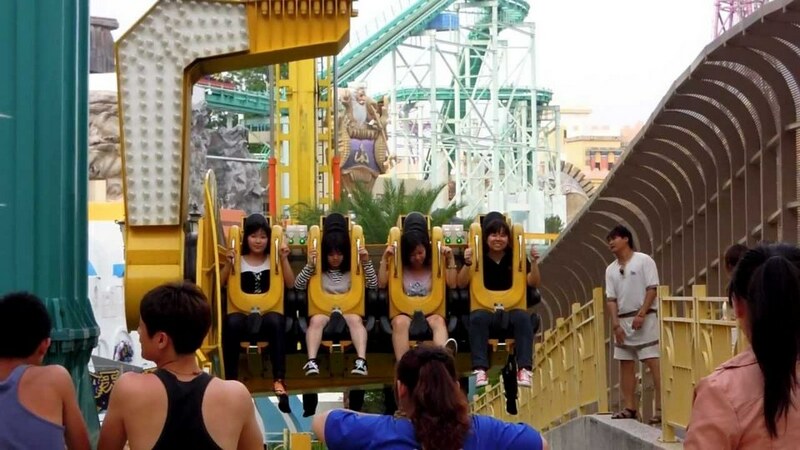 Because this period the weather was no rain and cool, the temperature is not too high, suitable for exploring sightseeing and activities. 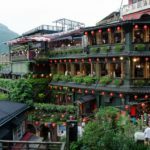 You should not traveling here in the summer because the climate of Taiwan is characterized by the tropical climate hot summer and heavy rain. 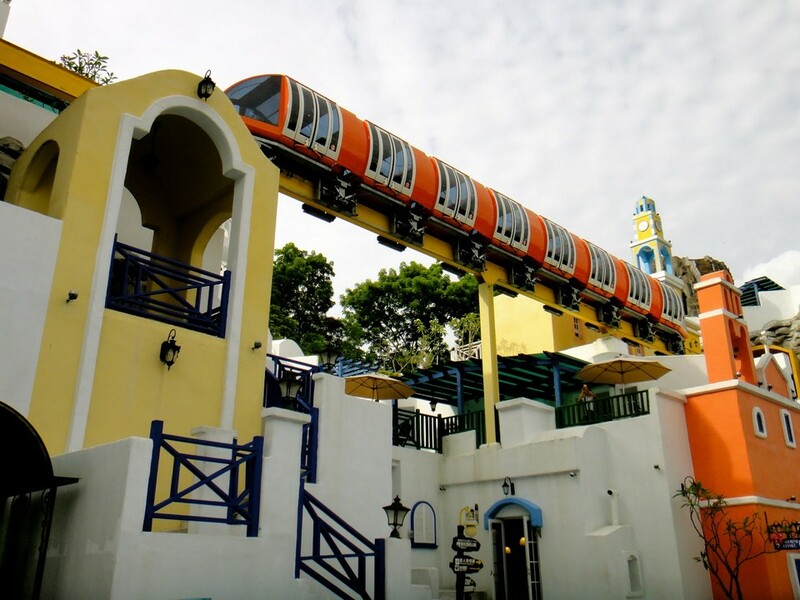 Sudden heavy rains, tropical storms and days of high temperatures will hinder your travel. 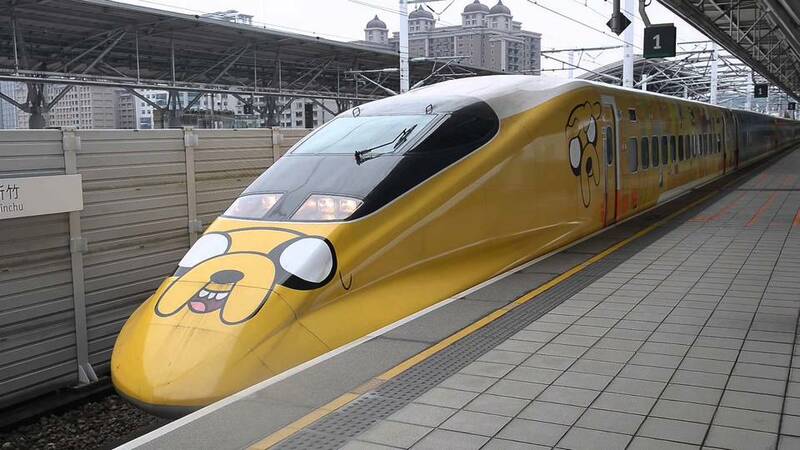 HSR train – a time-saving method. 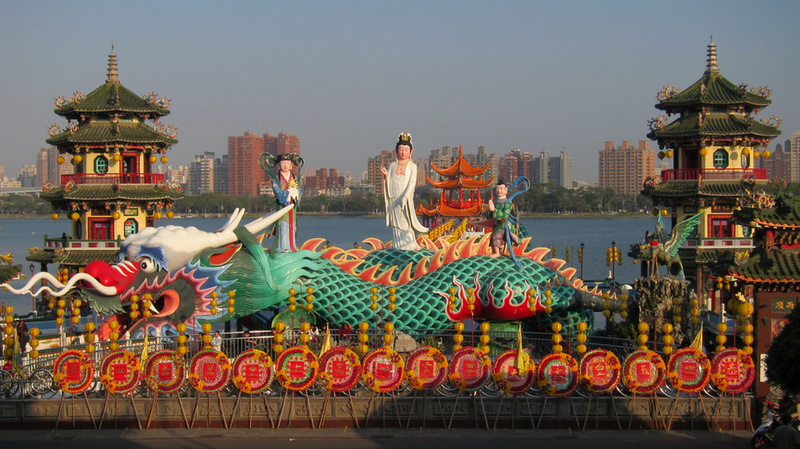 Credit image: kaohsiung blog. 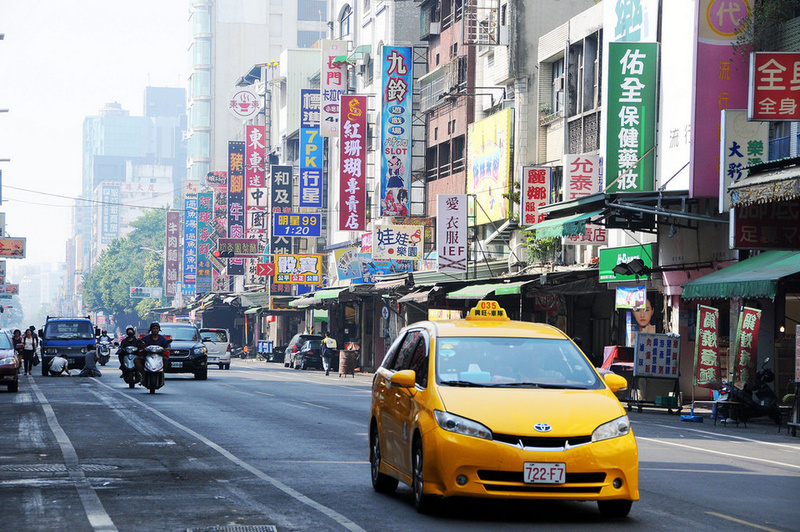 Public transport in Kaohsiung includes bus, subway and taxi. 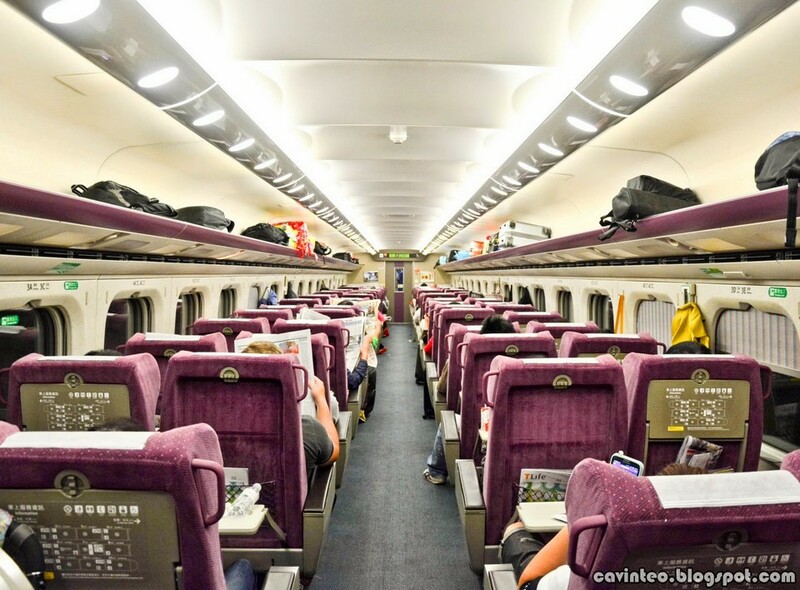 From Kaohsiung to other cities / provinces, there are more Train and High Speed Train (HSR). 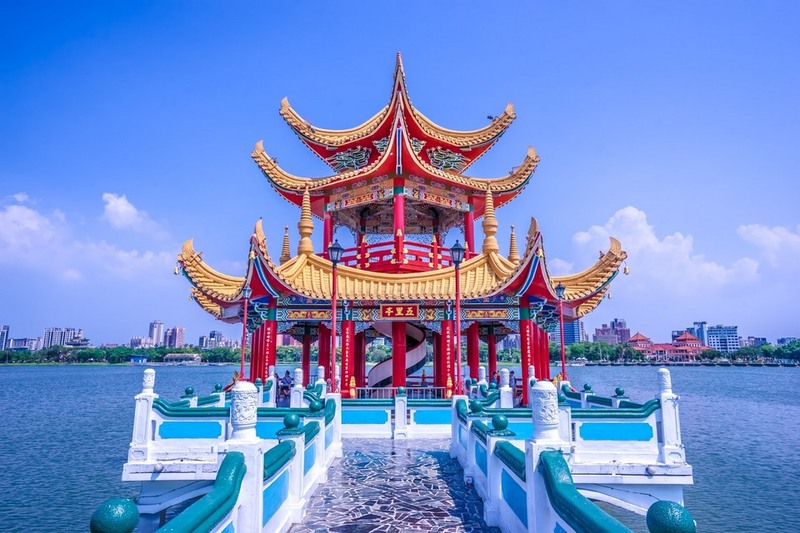 For traveling around the city you should choose the bus or subway is the most reasonable, the bus is very punctual and cheap, but to learn more about the routes will be quite complex for anyone who does not know Chinese so we recommend taking the subway (or taxi). 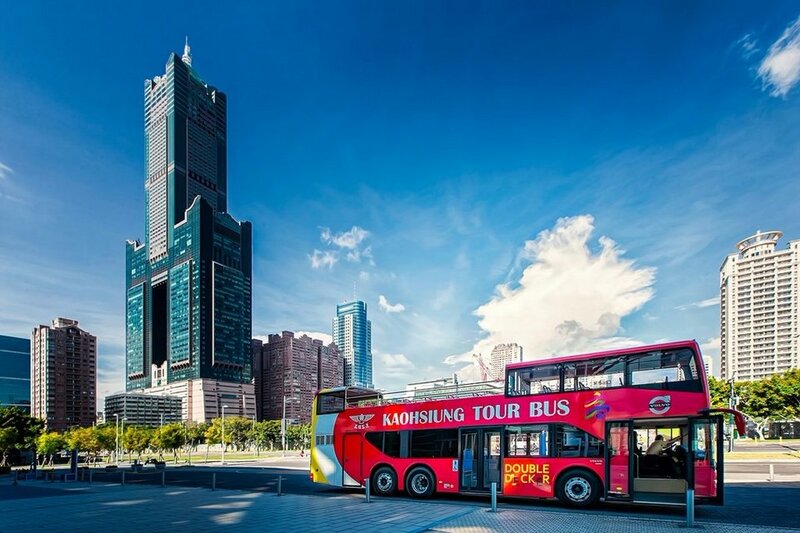 Kaohsiung city bus tour. 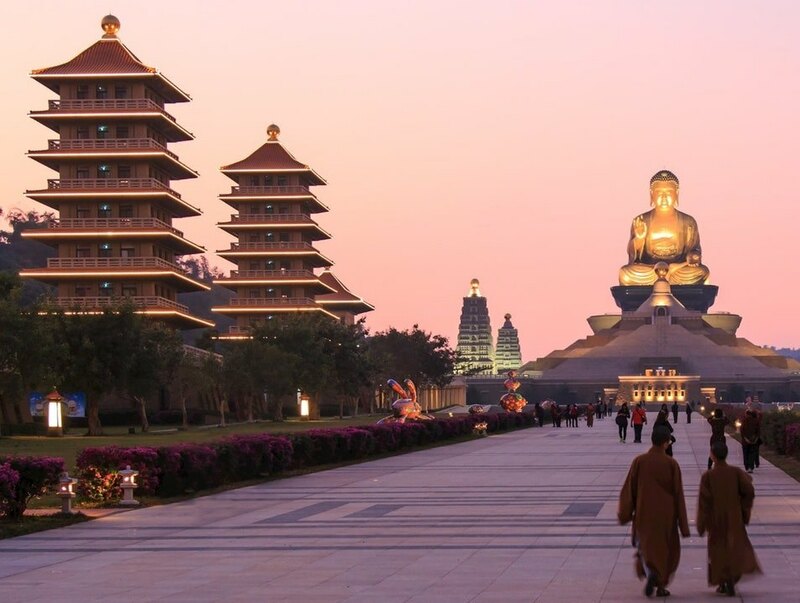 Picture: kaohsiung travel blog. 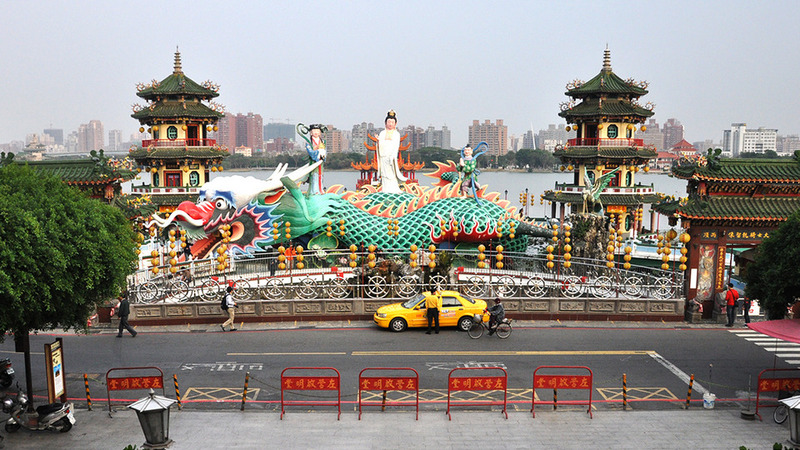 + Taxi: (about 15-20 minutes), price 300-350 NT$ ($9.81-$11.44). 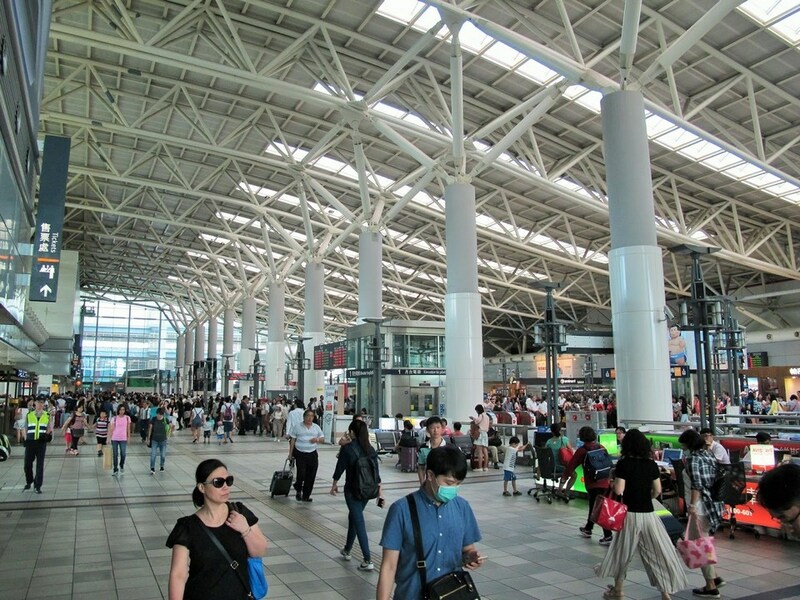 + Subway (MRT): Subway station place right at the airport, exit the airport door turn left about 100m to reach the subway station. 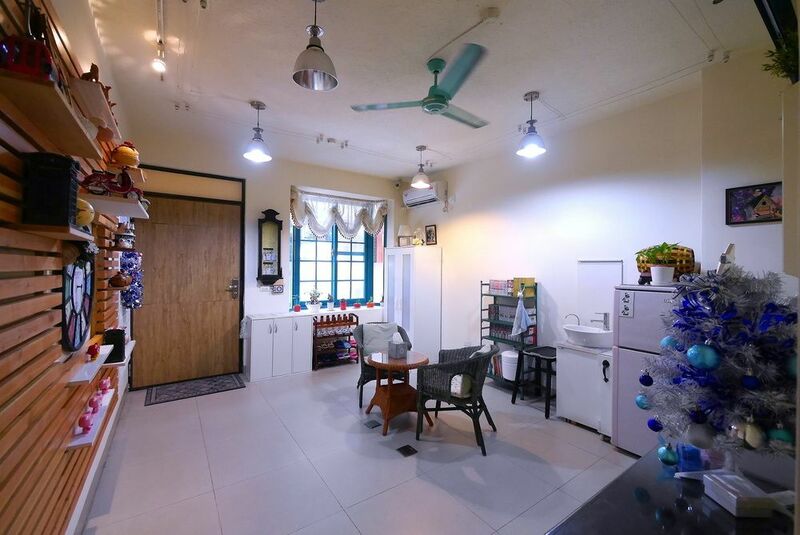 At the counter at the subway station, buy a Easy Card for 200NT$ (deposit 100NT$, use 100NT$) to swipe into the two doors (entrance doors) of the subway station. 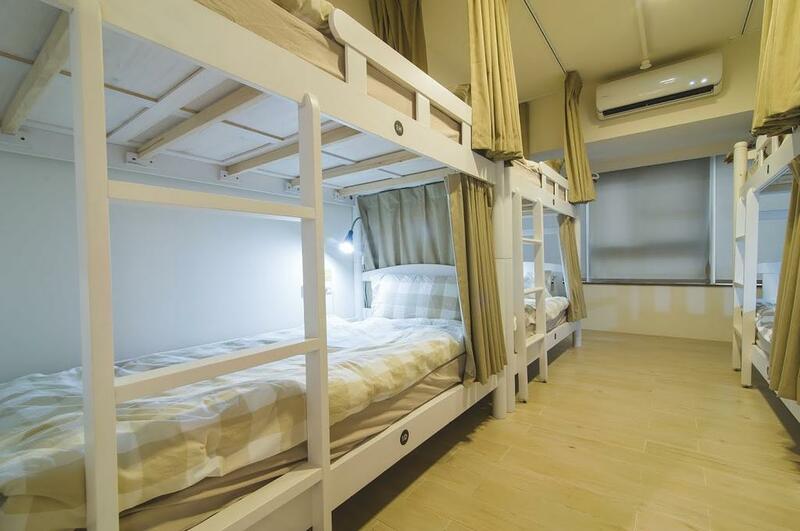 Very fast and clean, unless if you bring the bulky suitcase is not convenient. 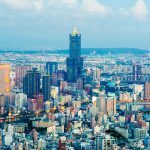 We attach the Kaohsiung subway map for you locate for clarity. Kaohsiung rapid transit map. 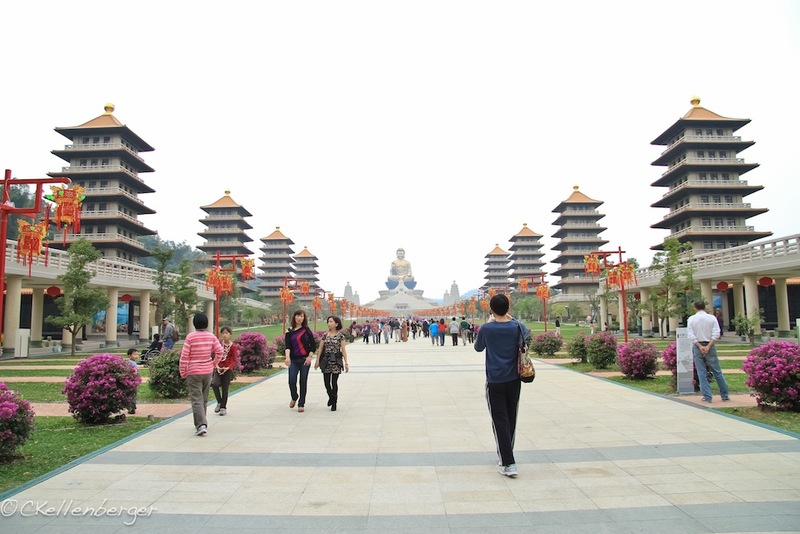 Picture: kaohsiung travel blog. 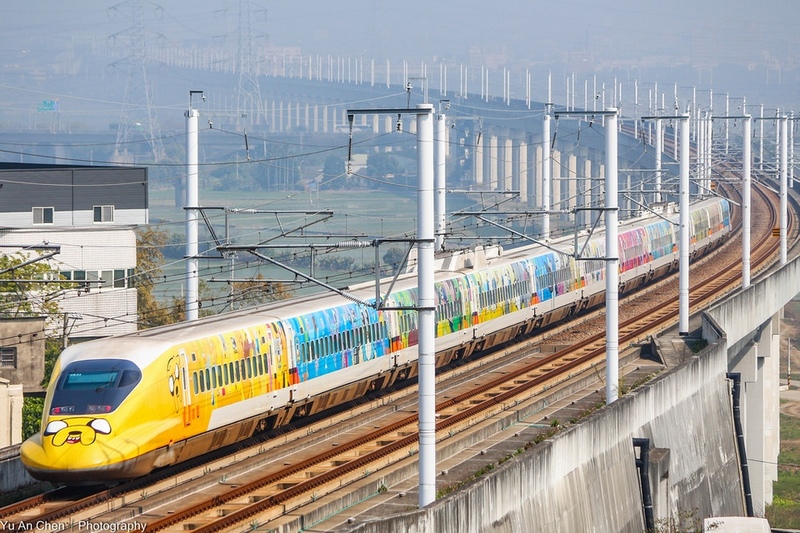 HSR: The fastest way is to take the High Rapid Train HSR. 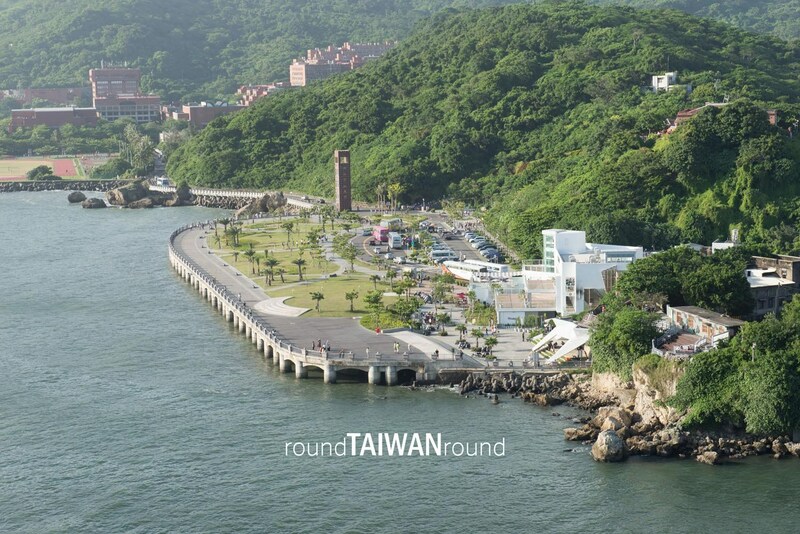 From Taipei to Kaohsiung it only takes about one and a half hours. 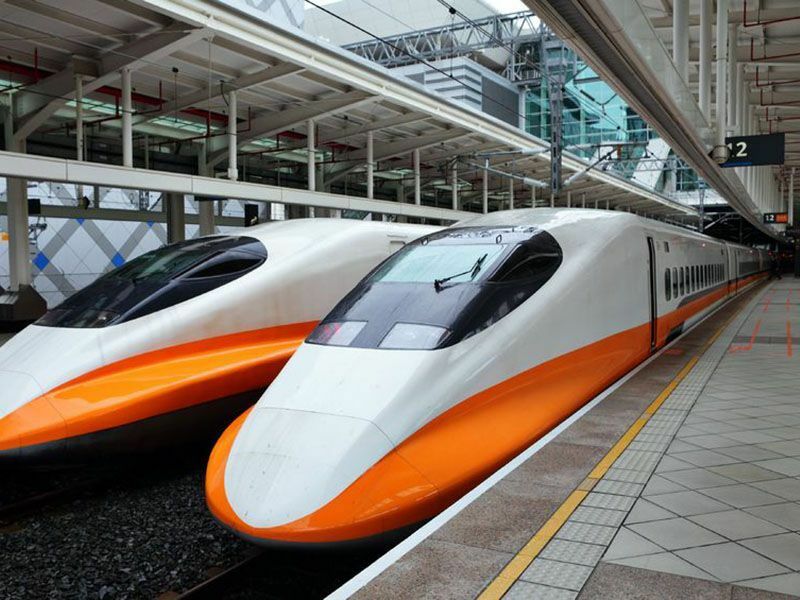 Buy HSR tickets at the ticket counter in Taipei Main Station. 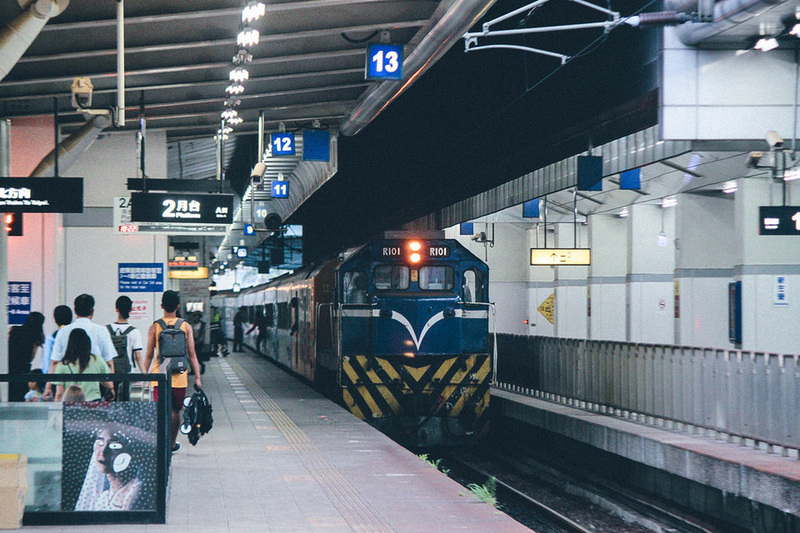 Note that you choose the arrival station is Zouying (this is the station in Kaohsiung City). 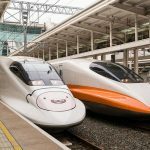 See more: HSR Taiwan travel guide — Everything you need to know about Taiwan High Speed Rail HSR. 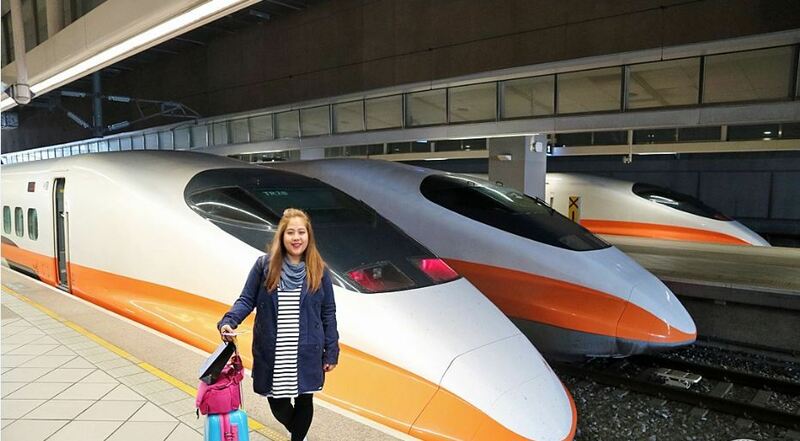 THSR Zuoying Station and TRA New Zuoying Station. 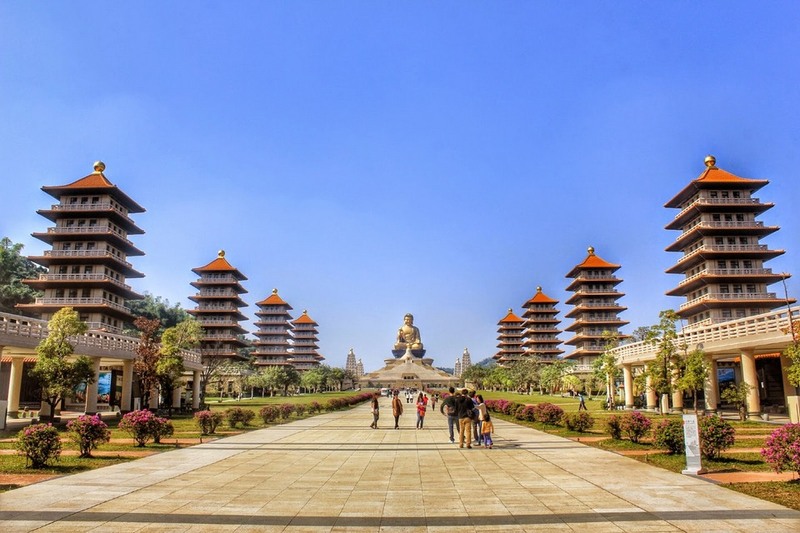 Picture: kaohsiung travel blog. 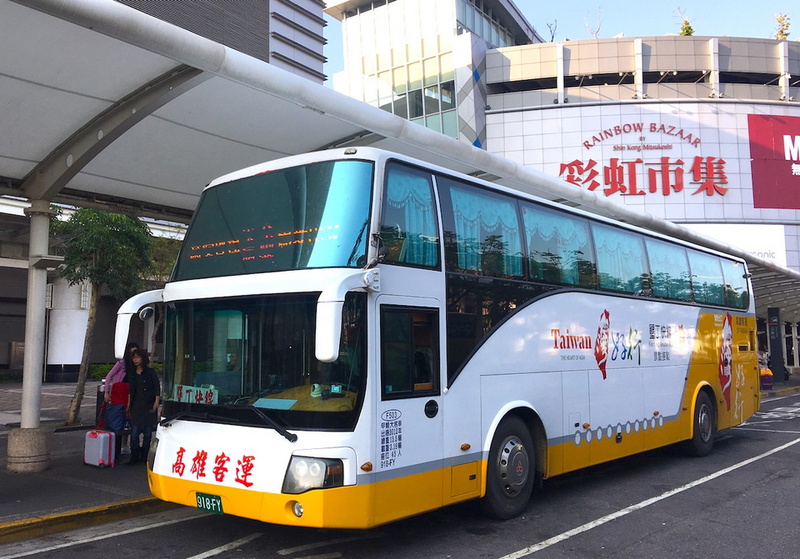 Bus: Or you can take the bus of the bus companies as UBUS (If in Taipei, to Taipei Bus Station, Taichung to Taichung Station, Tainan to Tainan station), the bus price is only 1/2 of HSR, however, traveling time may be three times longer. 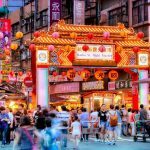 See more: Taipei Kaohsiung itinerary — How to travel from Taipei to Kaohsiung? 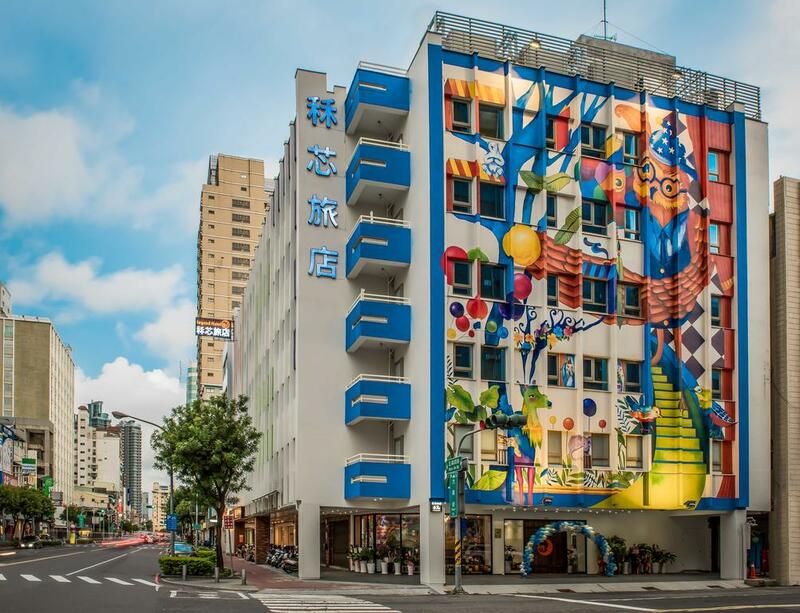 Kaohsiung blog: Where to stay? 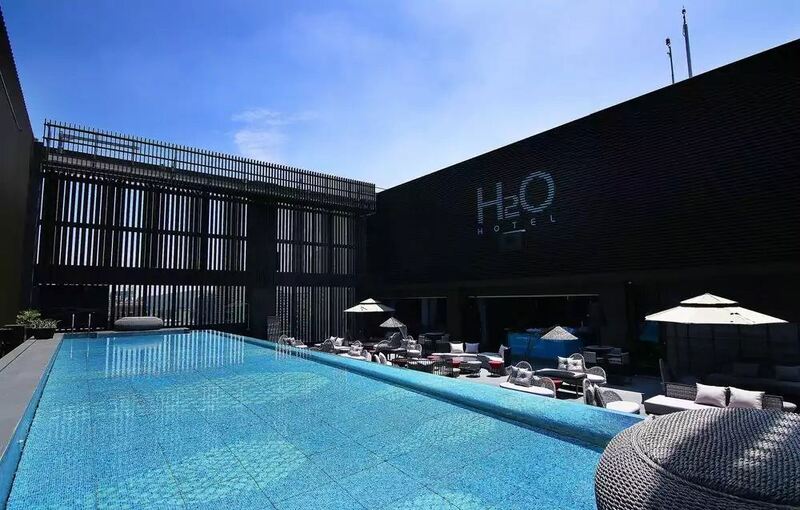 Hotels and guest houses in Kaohsiung are equipped with the most basic facilities, some luxury hotels also have swimming pools, bars, restaurants, cinemas, entertainment areas …. 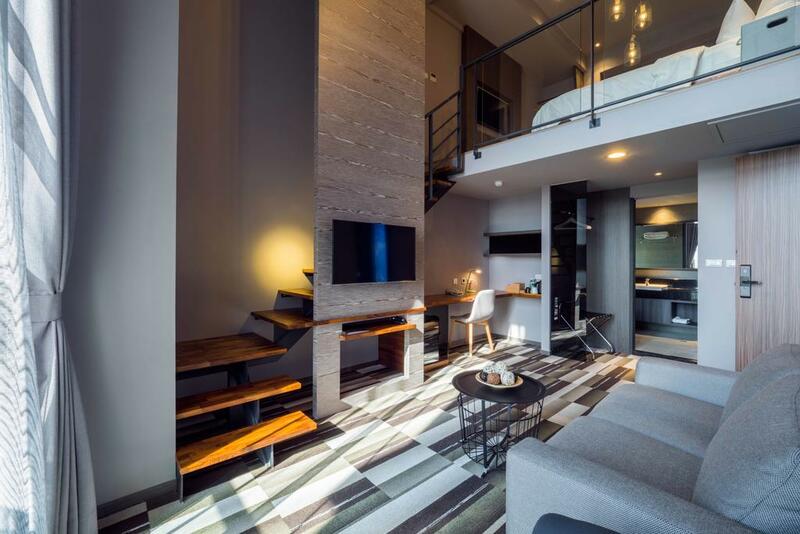 The middle class hotels and affordable motels also have bicycle rent services, private kitchens and offers extra beds if you go group of 4-5 people together and want to stay in the same room. 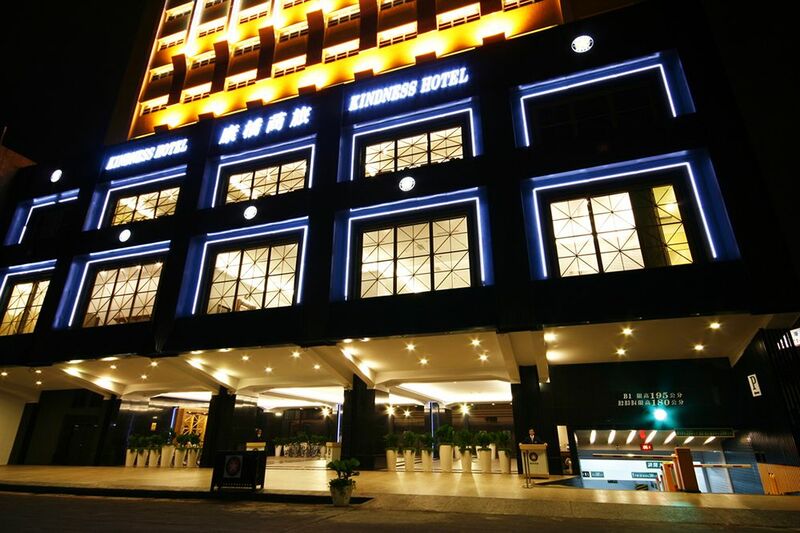 You should be stay in areas near MRT R14 station (Kaohsiung Arena), R12 (Hongyi), R10 (Fomosa Boulevard) or R9 (Central Park). 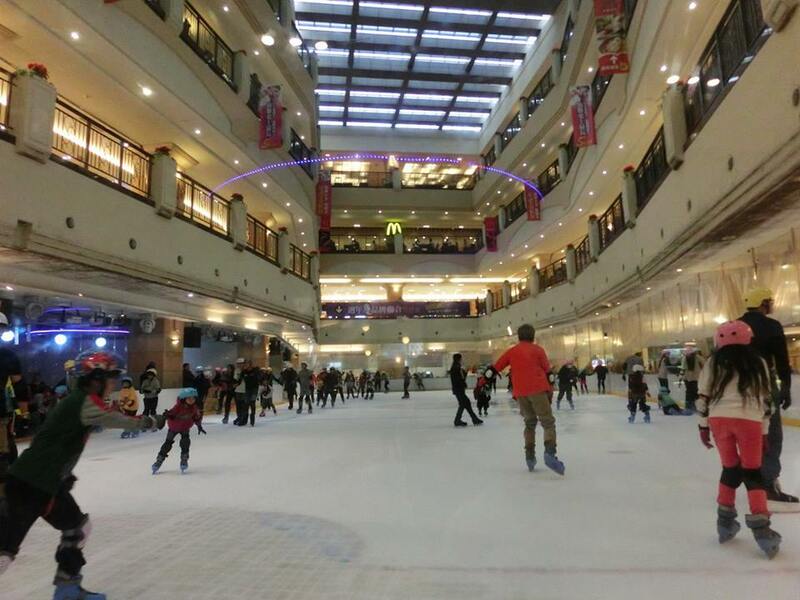 These are the central areas, very convenient shopping and moving. 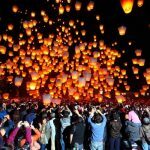 Reservations should be made in advance. 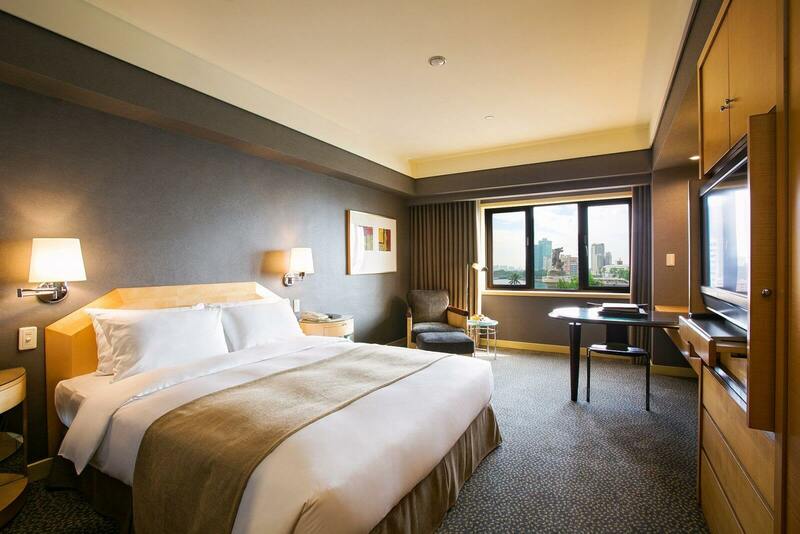 The room rates are denpend on luxury or normal range from 9,348.95 NT$ – 13,355.64 NT$ / per night for high-class hotels; 4,006.69 NT$ – 6,677.82 NT$ / per night for mid-range hotels and 1,068.45 NT$ – 2,003.35 NT$ / per night for budget hotels. 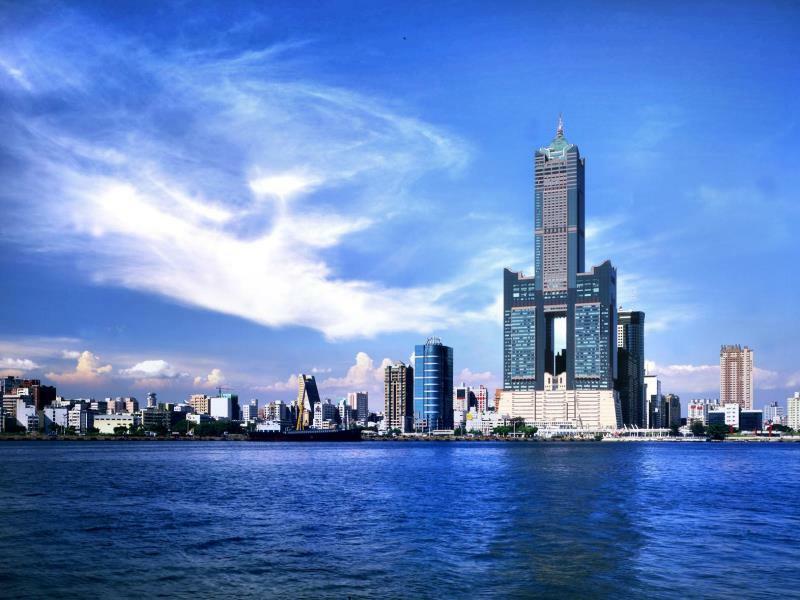 This is the economic icon of Kaohsiung. 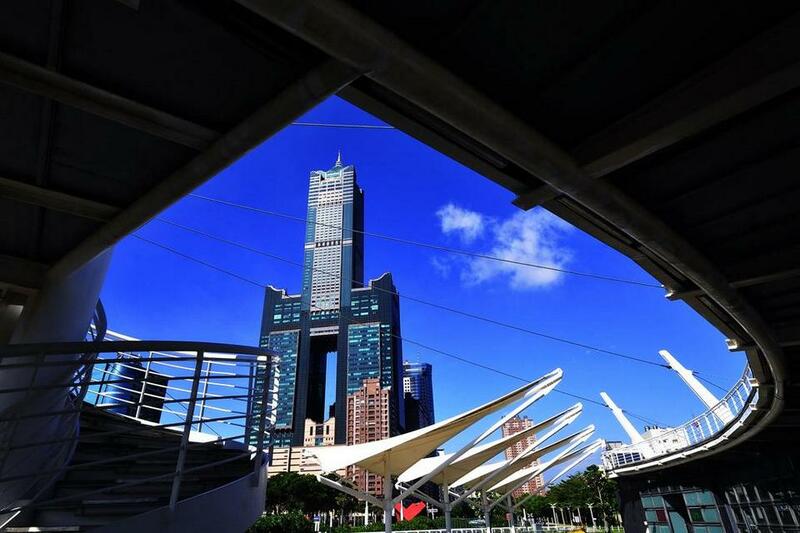 When you come here, you can not only see the unique and elegant design of the building, you can buy the tickets to the 85th floor to see the beautiful scenery of Kaohsiung, the price is 150NT$. 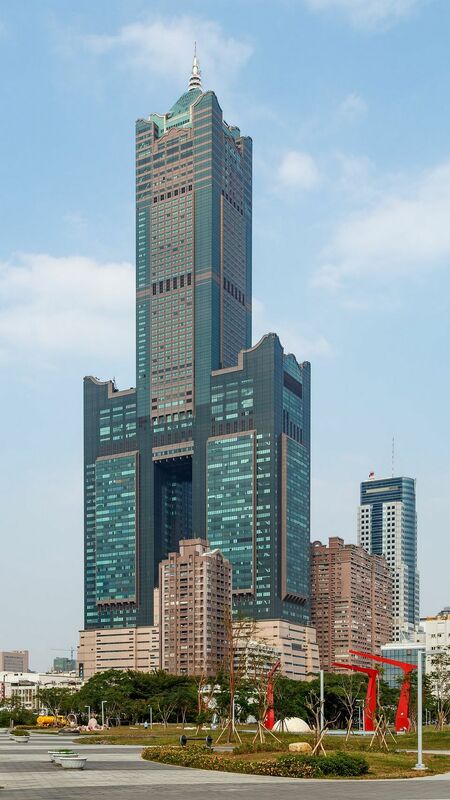 Getting there: From MRT R9, you can take a taxi to the 85-story building. 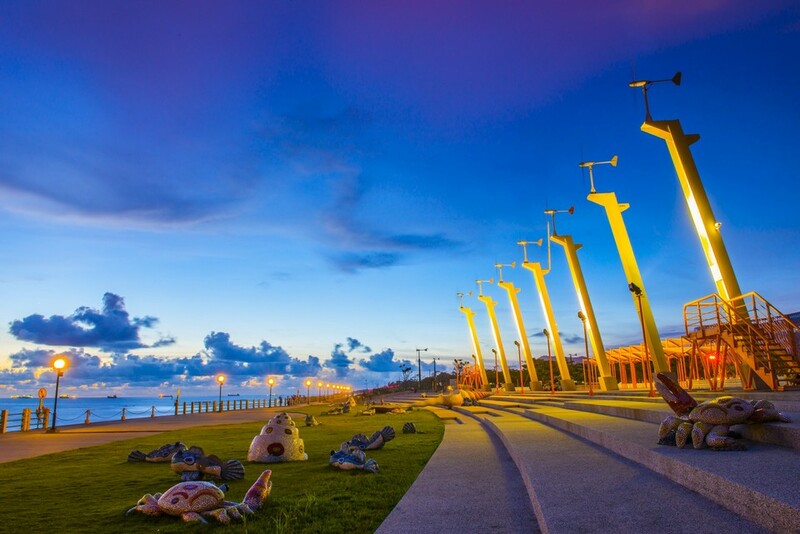 Once a small fishing village, Kaohsiung today offers plenty of activities with its beaches, cafes, and wide streets. 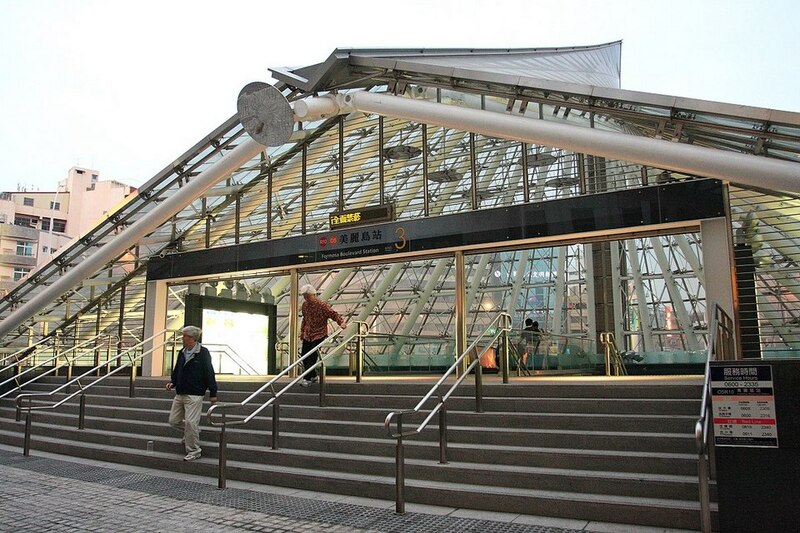 This is the most beautiful MRT station in Kaohsiung (R10 Fomosa Boulevard), which is also the center of the city. 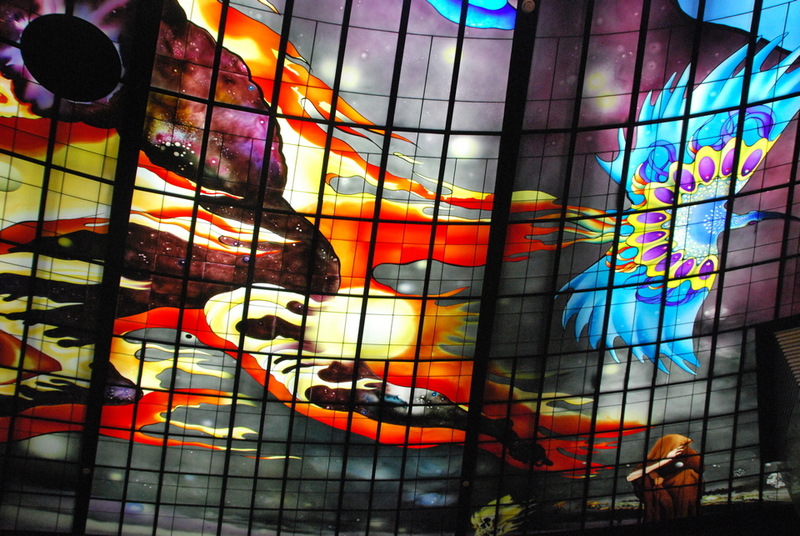 The dome of the station is designed with a panoramic sky that describe the history of human evolution by images. 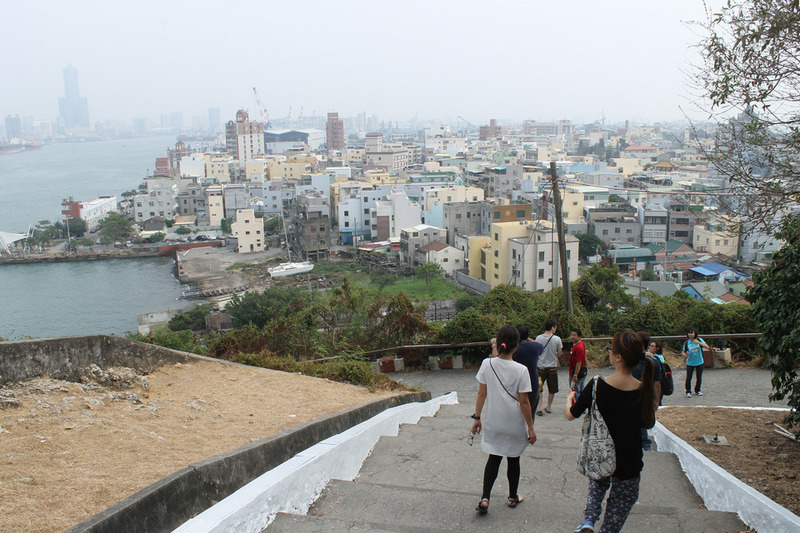 From here you can take the train to Sizihwan is the coast of Kaohsiung. 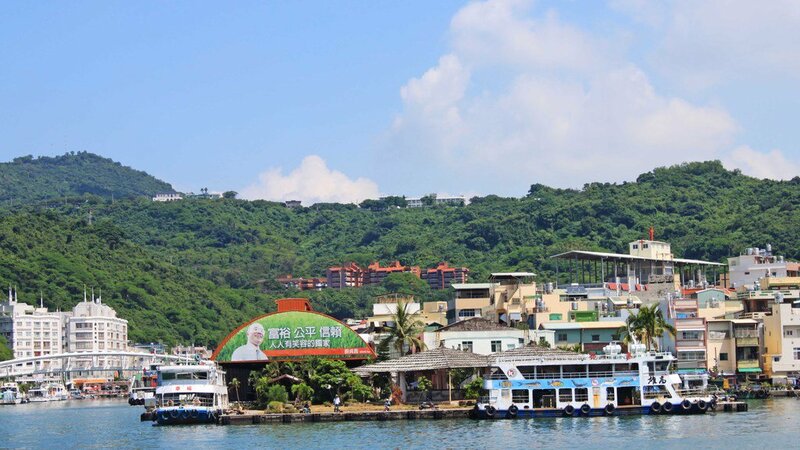 From Sizihwan, take the ferry to Cijin Island. 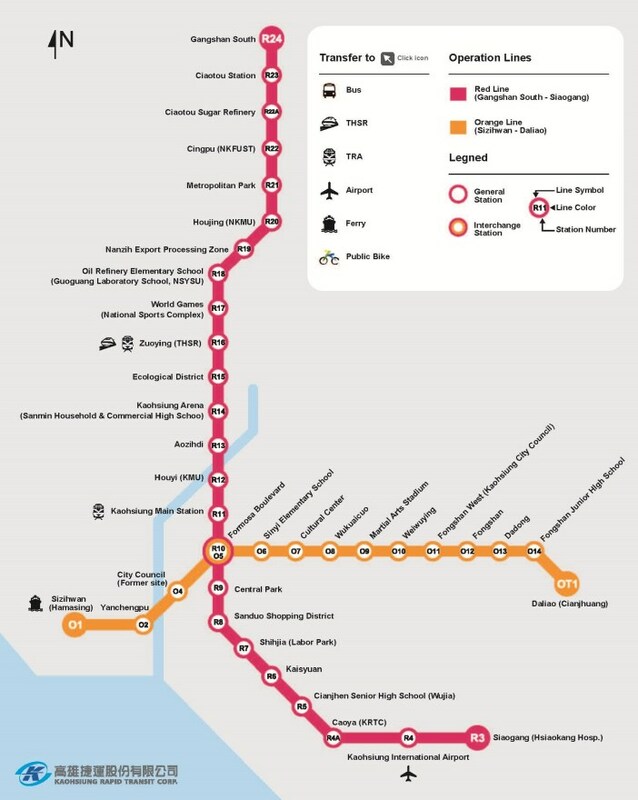 Line(s): Red Line (R10); Orange Line (O5). 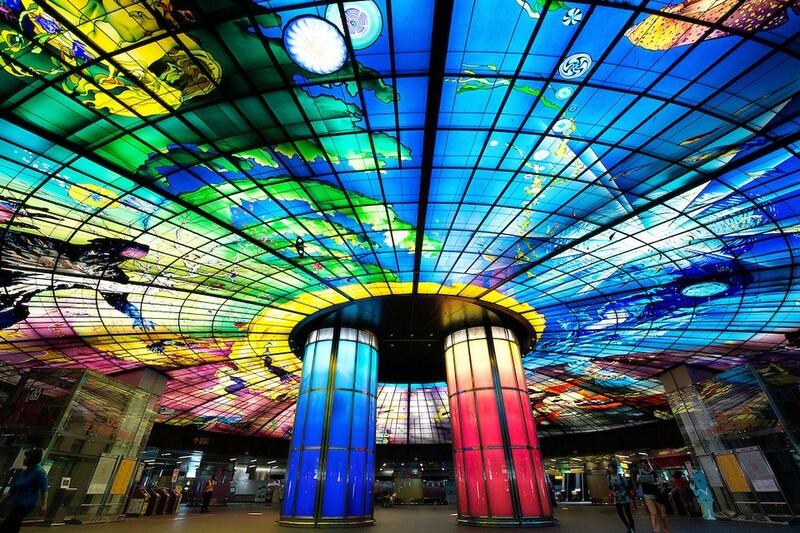 Glass ceiling at Formosa Boulevard Station, Taiwan. 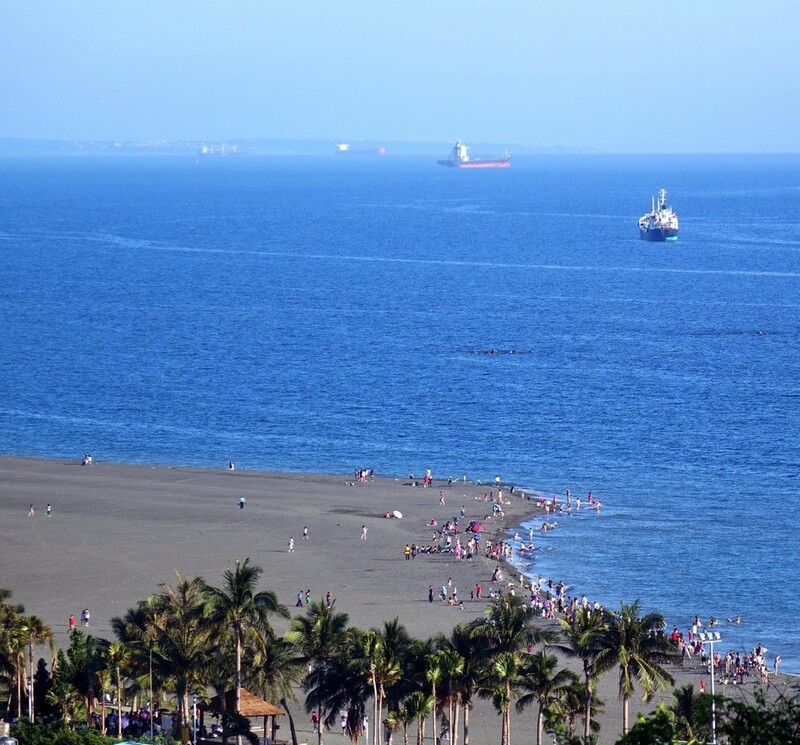 Credit image: kaohsiung blog. 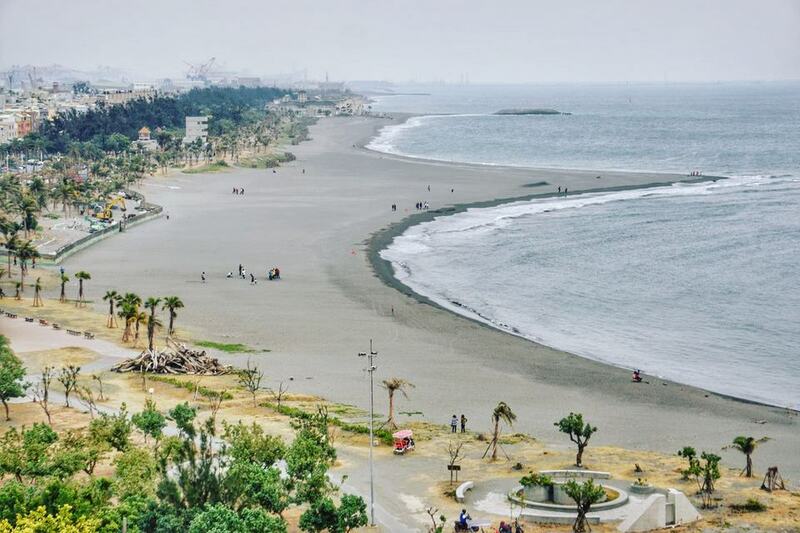 Sizih Bay (Sizihwan) is located in the western part of Kaohsiung City, on one side is Shaochuantou Mountain, on the other is the small Cijing Island in the south, blue sea with black sand beach (the natural feature of this sea). 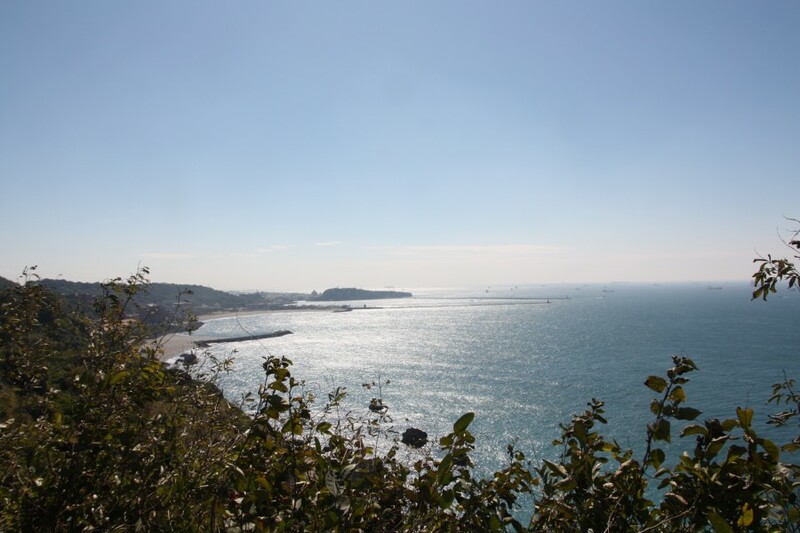 In Sizihwan you can rent bicycles to getting around, or rent small boats for sightseeing, eat fresh seafood, visit Sun Yat Sen University, and head to the peak of mount Shaochuantou nearby school to watch sunset. 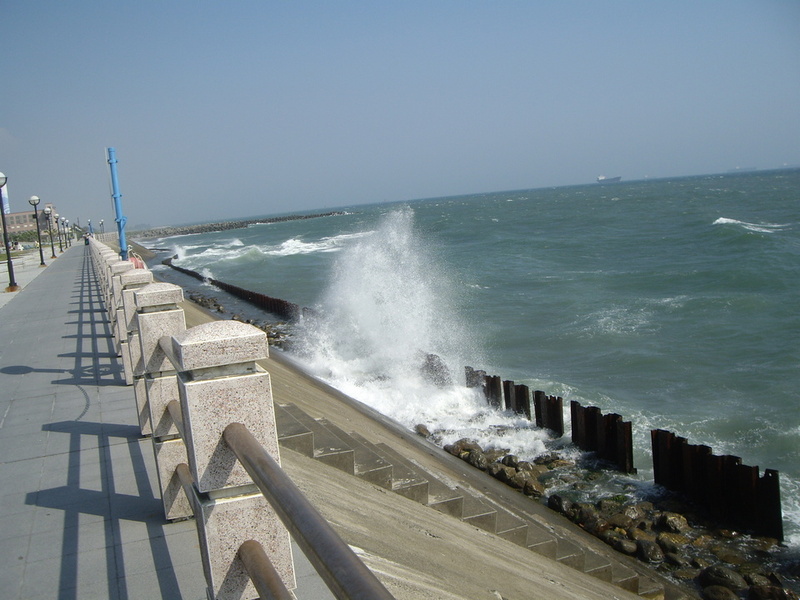 Sizihwan is also famous for its vertical stone-cut breakwater, standing here you immerse in the sea breeze, feeling very comfortable. 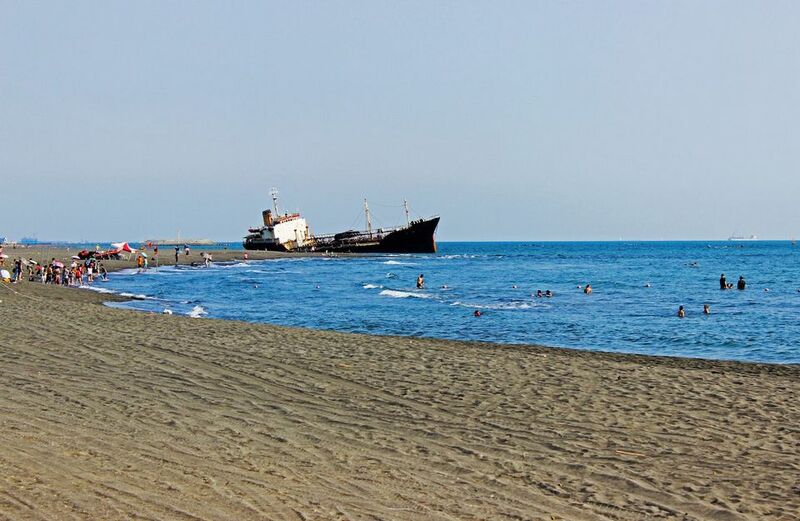 Shipwreck at the Cijin-beach. 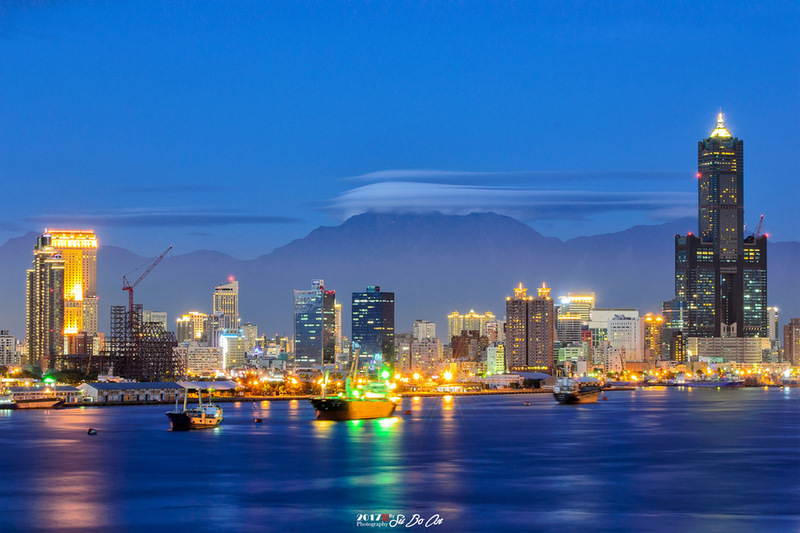 Credit image: kaohsiung blog. 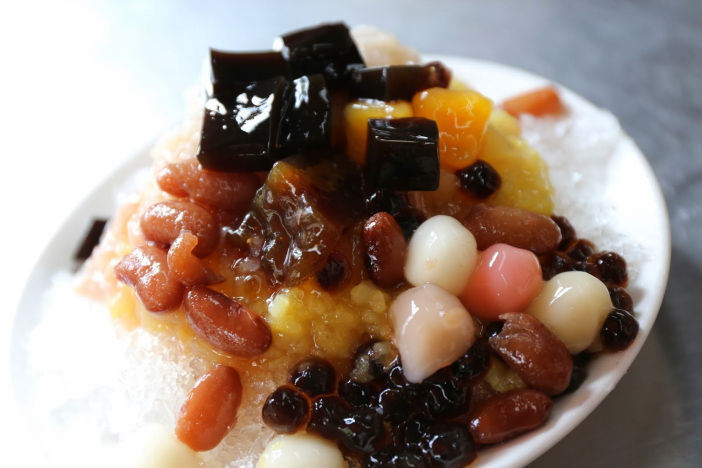 Coming to Sizihwan you can also eat ice cream with fruits or beans like this. 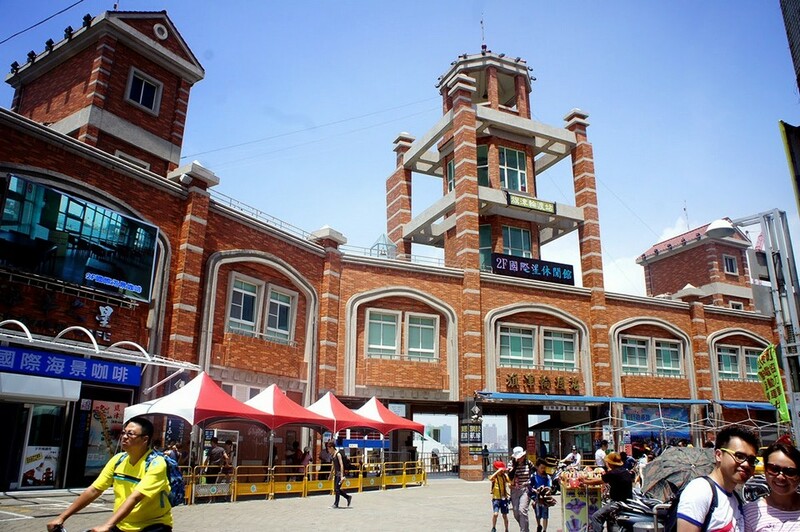 The ice cream shop is located along the road to the ferry. Delicious, price about 40-50-60NT$. 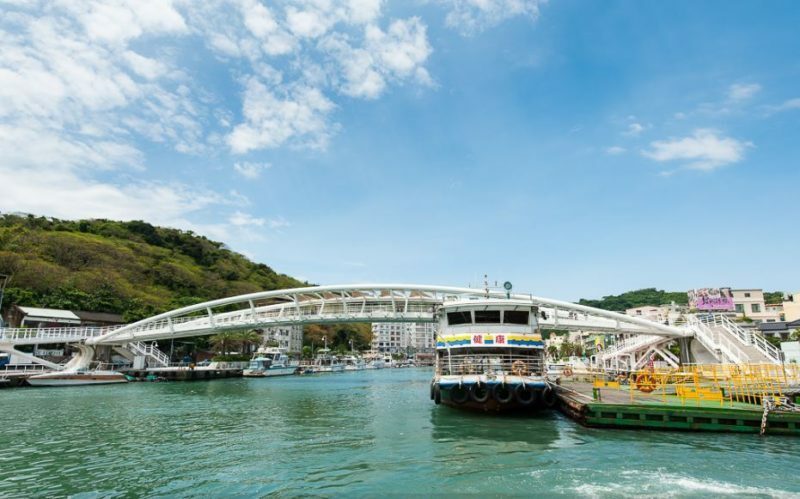 From Sizihwan, go to the ferry station (follow the directions on the road or google map, not far) you use coins, or Easy Card to pay the ferry to the island of Cijin. 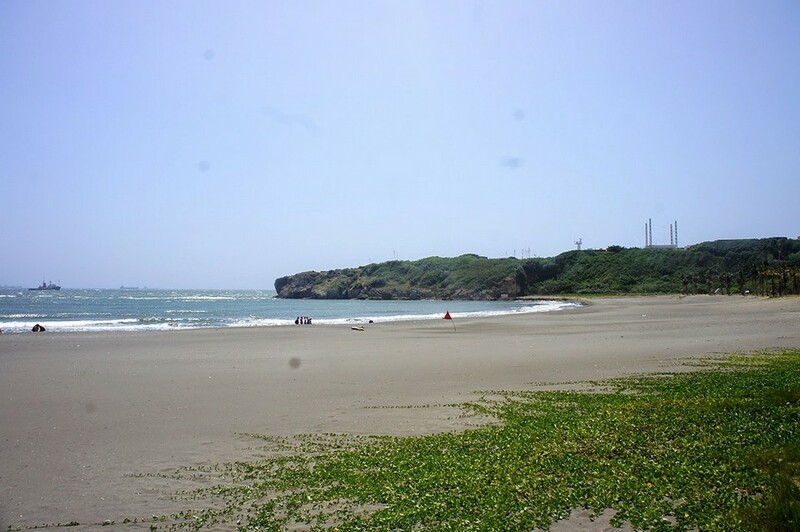 The sea in Cijin Island is not ideal for bathing. The streets are quite old and not as clean as in the city. 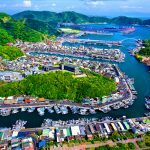 Visit Cijin to view sea, buy souvenirs or eat fresh seafood, prices are also moderate and are recorded on the menu or on the table sign. 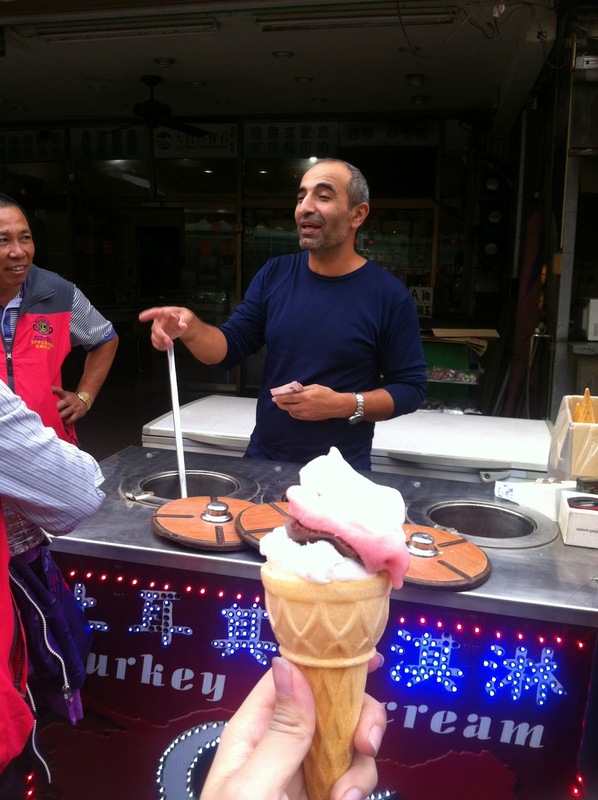 There is also a cream shop of a Turkish man, truly Turkish style. 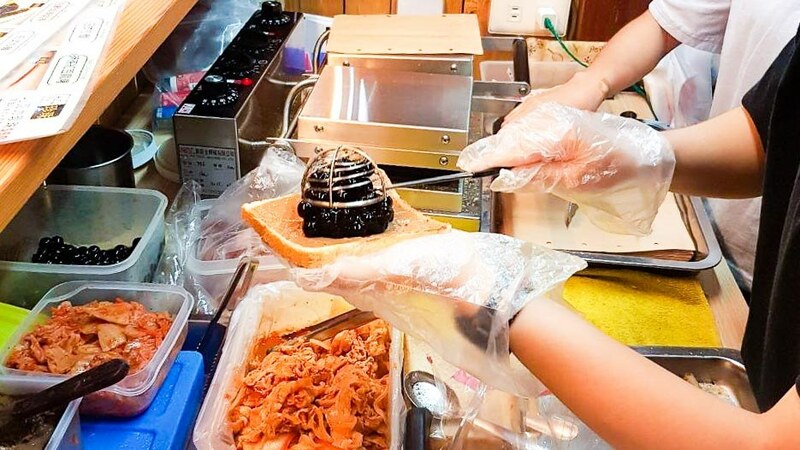 In addition, his skill to get ice cream very unique so people are often curious to watch it. 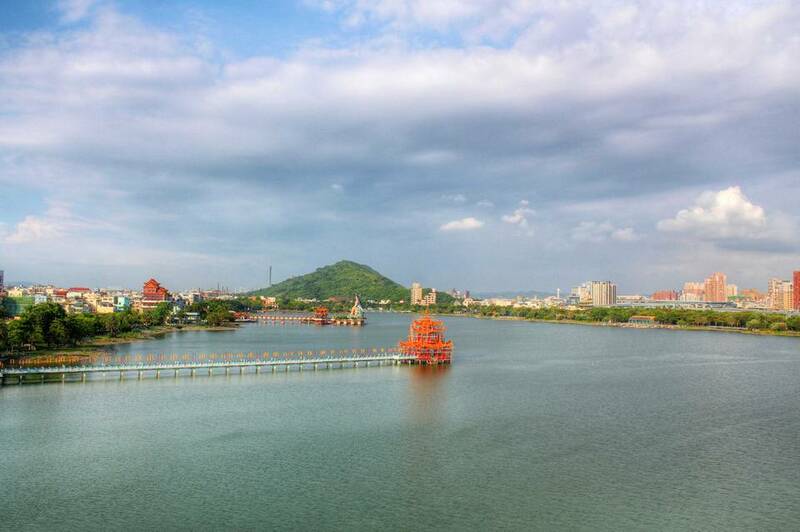 This is a large lake located in Zuoying, there is a zig zag road on the lake. 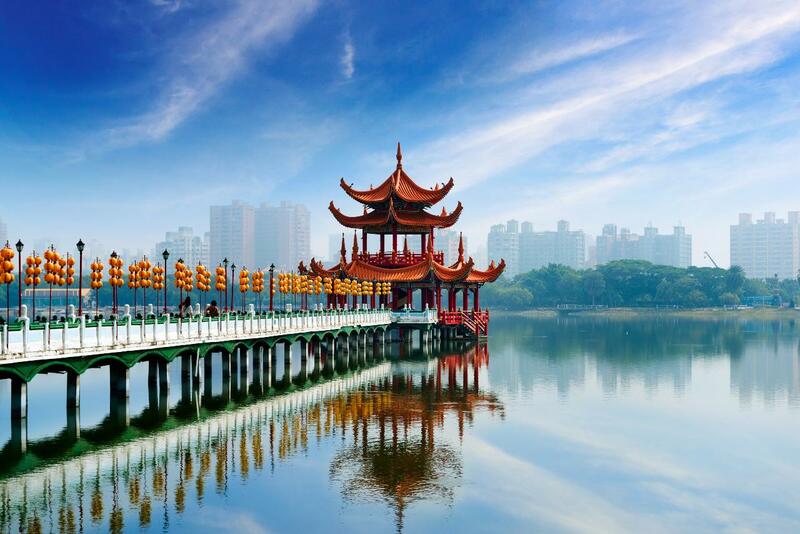 The lake water is turquoise, floating on the surface of the lake is the blue-pink houses. 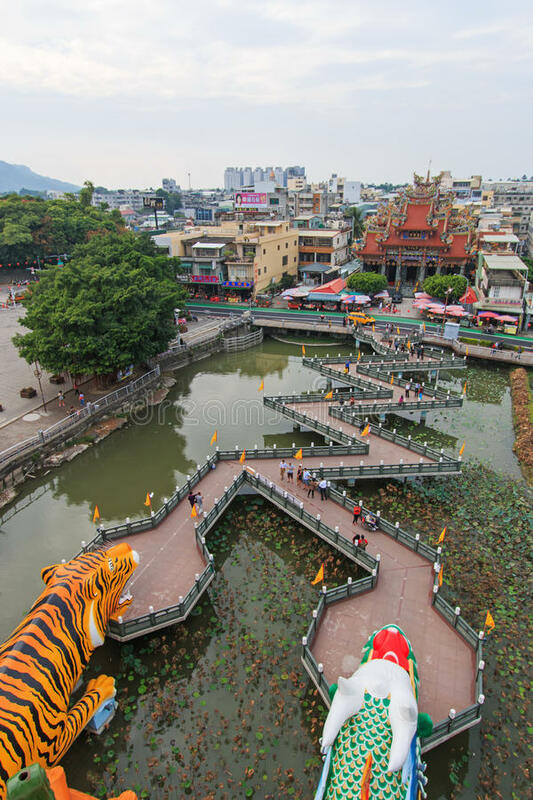 In the middle of the lake is the Dragon Tiger Tower, according to legend, whoever comes here will go through the entrance to the dragon jaw and exit the mouth of the tiger, this symbolizes the idea for turning risk to lucky. 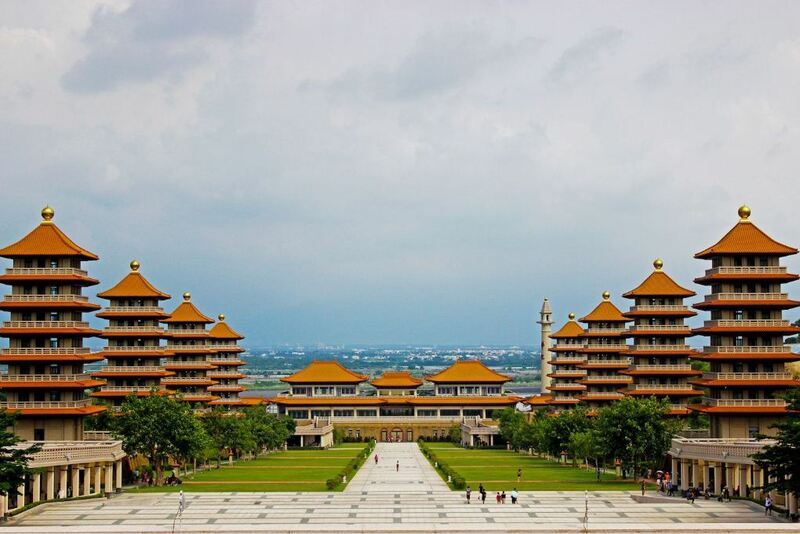 Beside the lake is a temple, the campus is very quiet. This complex temple area is one of the must visit places in Kaohsiung, where the highest Buddha statue in the world. 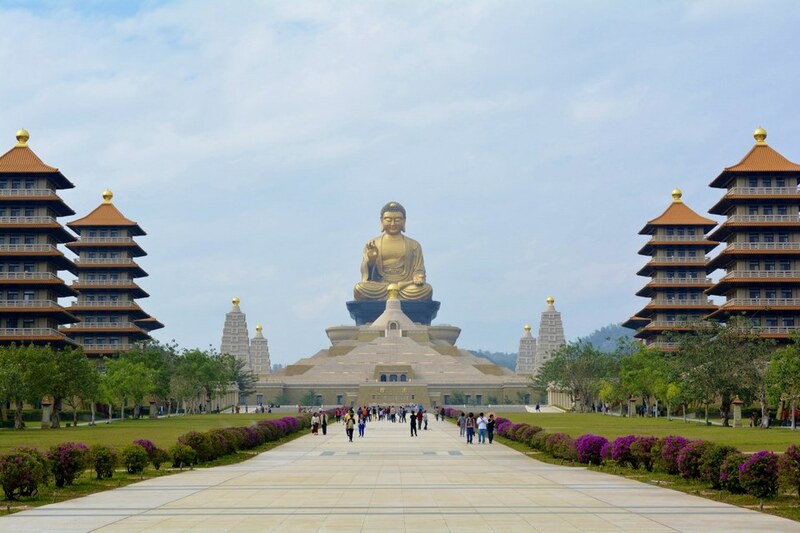 From the entrance, you will be overwhelmed by the ‘monumental’ of this 100-hectare Buddhist monastery, in the middle is the bronze Budda statue 108m high, the two sides are eight stupas. 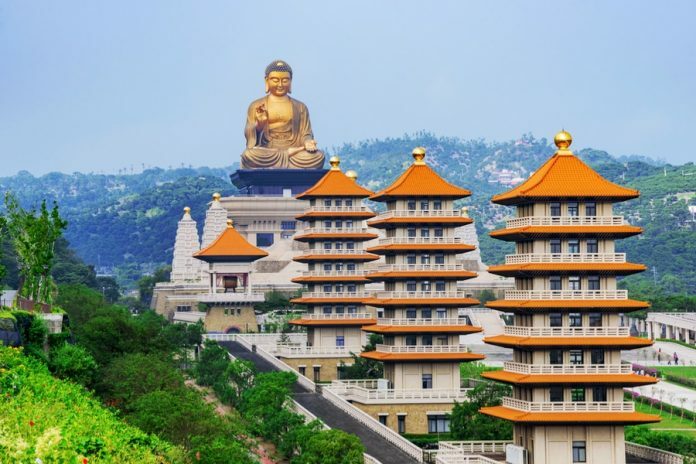 Fo Guang Shan is home to many gilding-gold Buddha statues and hundreds of hundreds of copies of Heart Sutra by hundreds of people copy hand from many places. 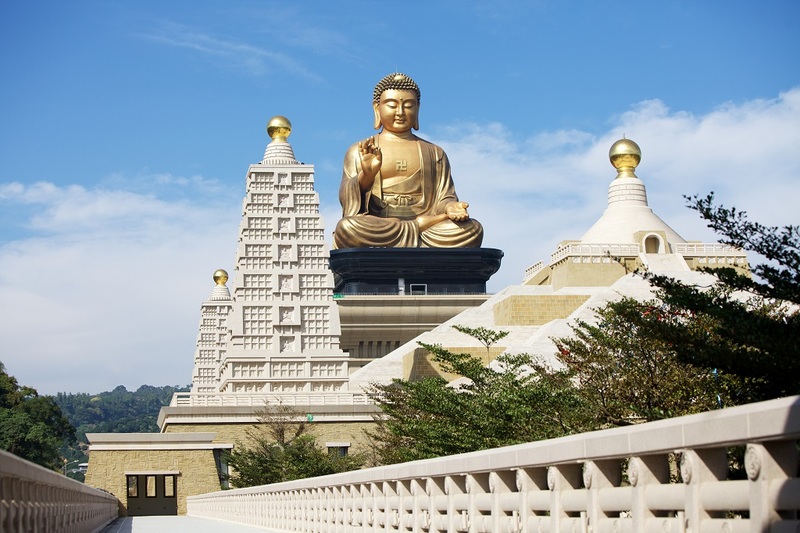 In additional, visitors can also admire the rare Buddha’s teeth of the temple. 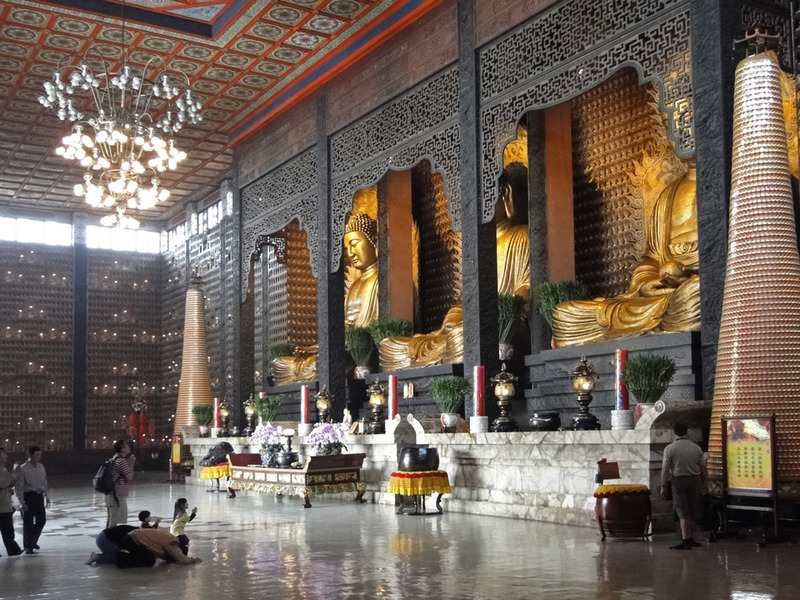 Especially, although there are many people to visit, but here absolutely still not noisy, calm, very peaceful. 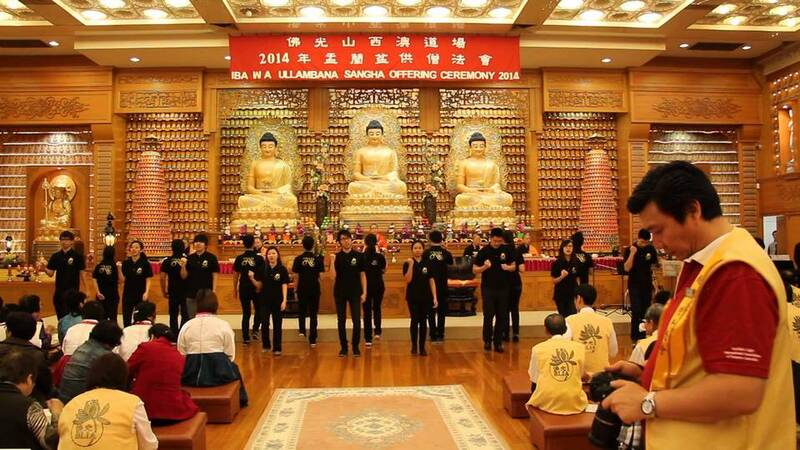 Inside Fo Guang Shan temple. 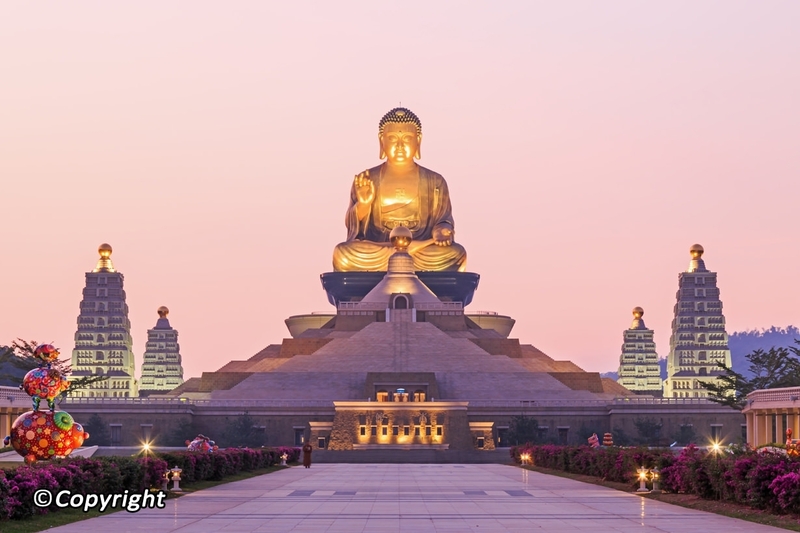 Credit image: kaohsiung blog. Admission is free, but you must adhere to the rules of the place (no smoking, no eating, no loud speaking, some indoor areas not photographed). 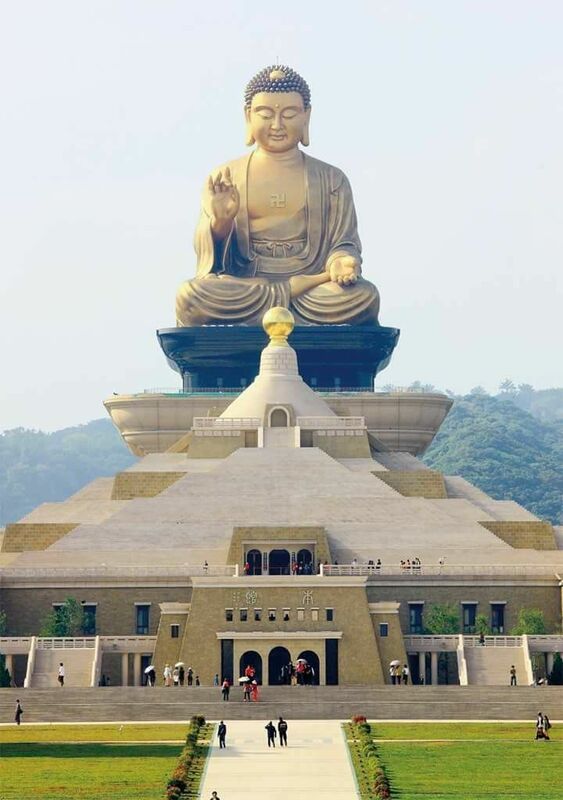 Because this place is very wide and few trees, you should bring umbrellas. 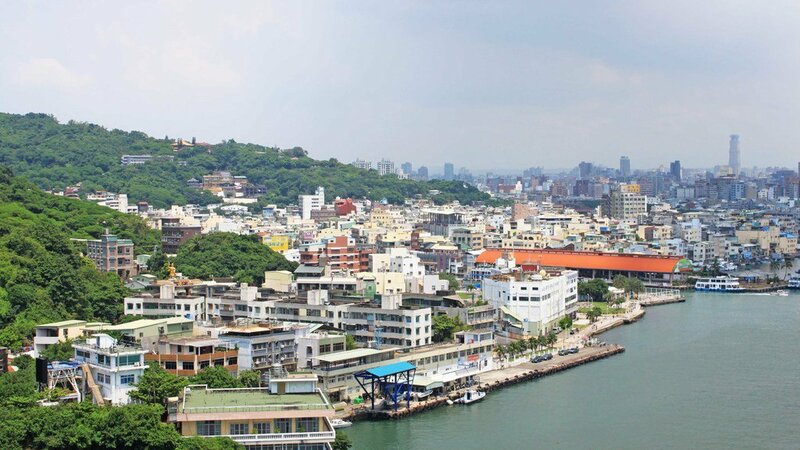 Getting There: MRT ZuoYing-R16, Exit 1, walk a short distance you will see the bus station. 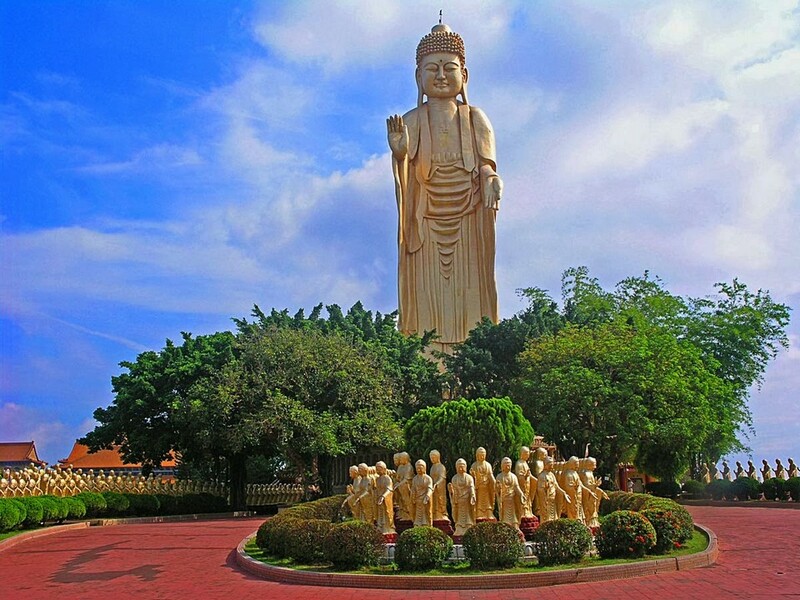 Take bus No.8501 to Fo Guang Shan (the ticket price 80NT$, time about 1h30 minutes). 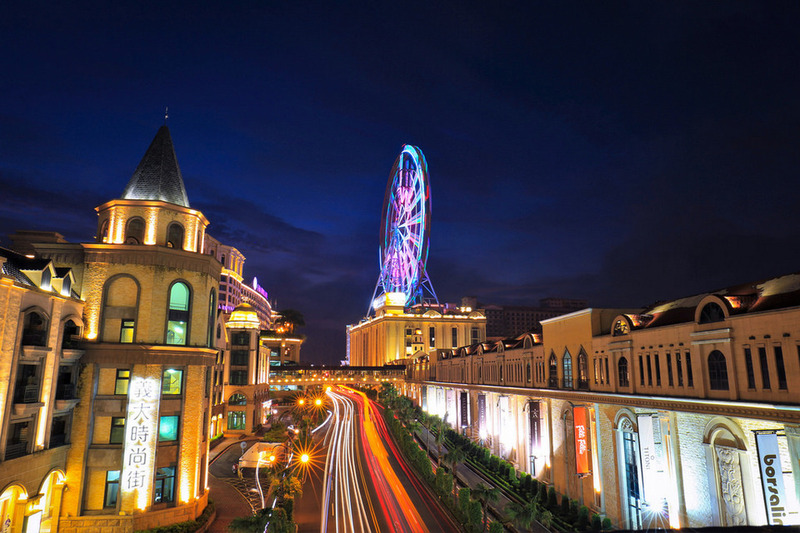 EDA World at night. 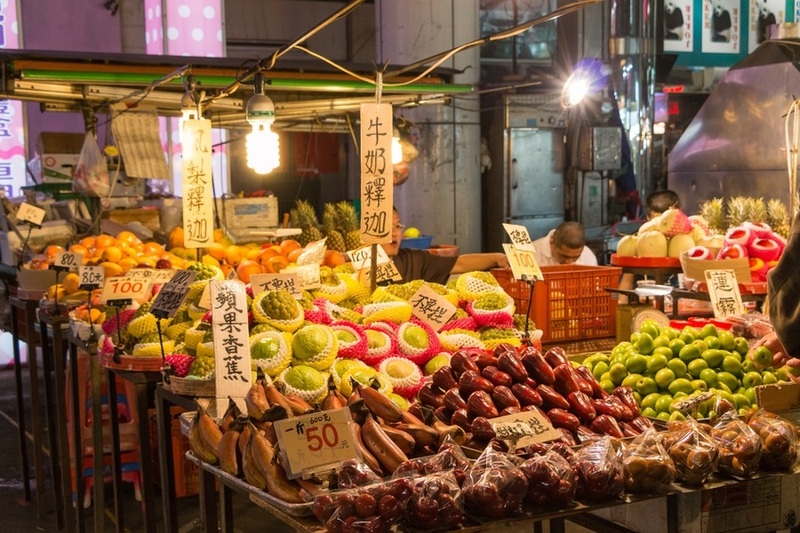 Credit image: kaohsiung blog. 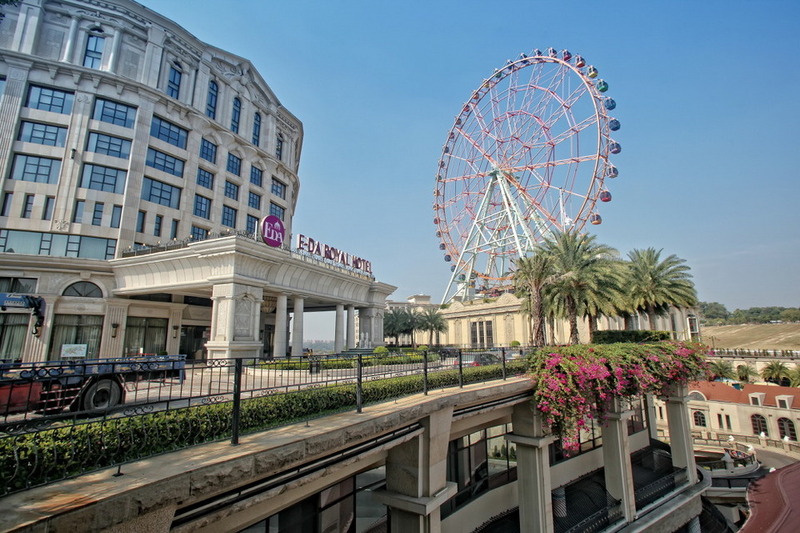 The EDA World Complex, which includes a golf course, hotel, university, hospital, shopping center, shopping mall, dining area, entertainment area, ice skating rink, theme parks with games similar in Everland … When come here, people often like to sit on the giant Ferris wheel to see the entire kingdom of EDA. You can spend all day at here to play and still not see enough. 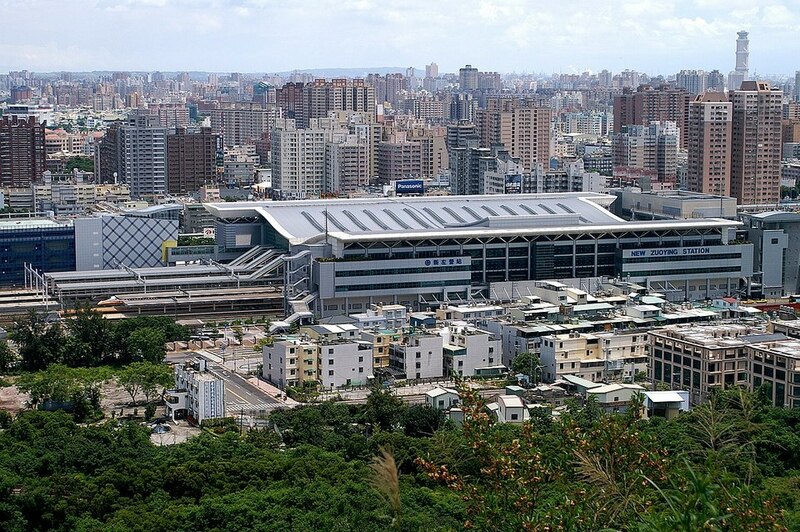 Getting There: MRT ZuoYing-R16, Exit 1, walking a short distance you will see the bus station. Take bus No.8501 to Eda World (about 40 minutes). 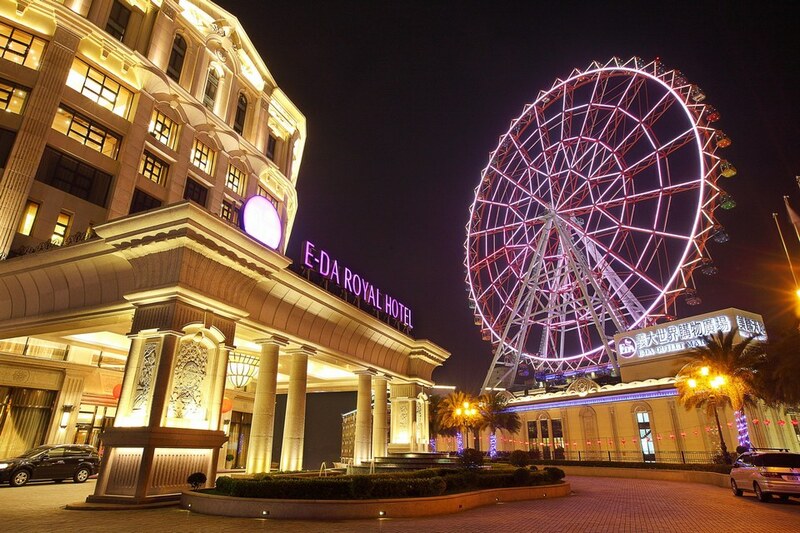 EDA World Theme Park: 650 ~ 899NT$, you can play all the games until the closing hours.